Boracay is the most popular island for vacation in the Philippines, which is one of the most beautiful islands in the world. While White Beach on Boracay is the most popular among tourists both day and night place — the beach, which for several years is included in the Top-10 beautiful world beaches. But Boracay attracts tourists not only with amazing nature – there is everything for rich in emotions and memorable holidays. 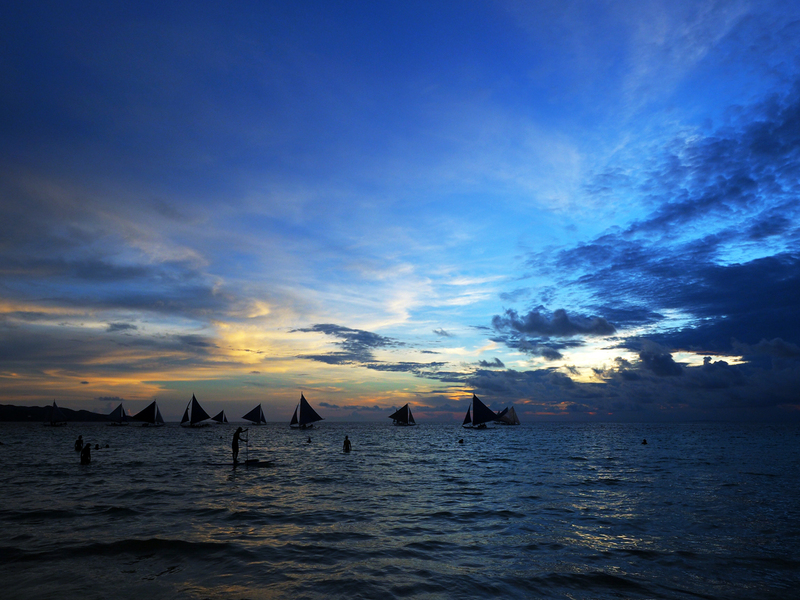 This and much more tourists can go in for to make their vacation on Boracay more interesting. 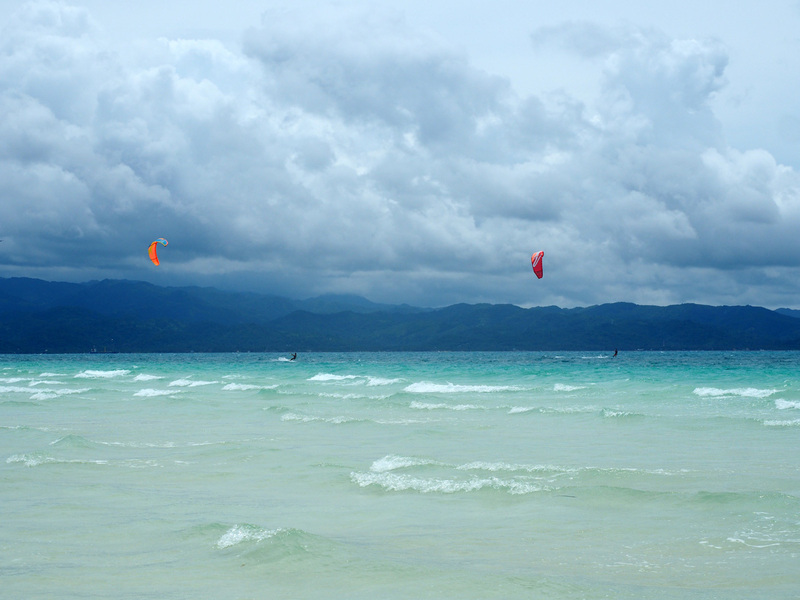 Ideal conditions for kitesurfing made Boracay popular among fans of this sport, and world-class competitions on kitesurfing are held on Boracay on Bulabog beach. 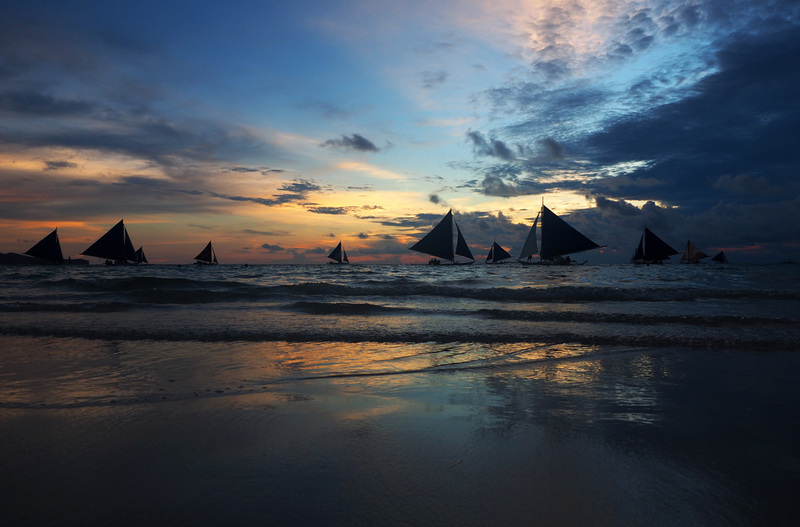 Boracay is also the most popular island for package tours in the Philippines. Many agencies offer different kinds of Boracay vacation packages with airfare, some of them are only flight and hotel packages, some include activities. 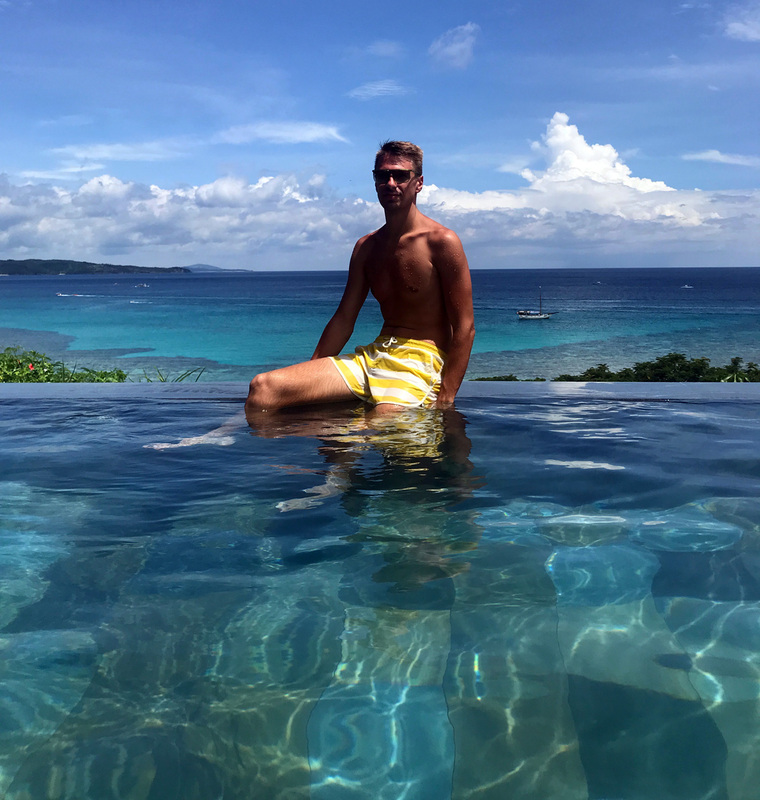 It’s up to you to decide what to choose if you don’t want to make a self-planned vacation on Boracay, but pay your attention that the cheapest Boracay packages with airfare is easier to find in low season. 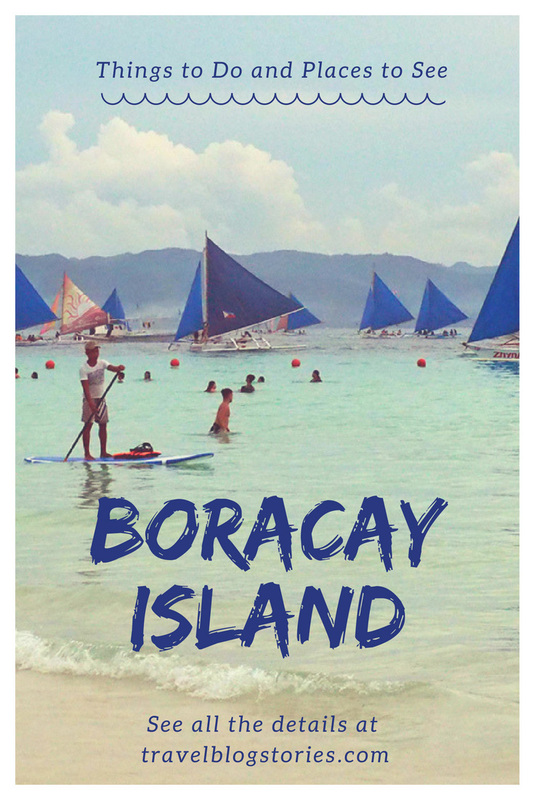 We visited Boracay and now we are ready to share the features of spending holidays on the island with those who are going on a trip to the most popular island of the Philippines. Our article will help you in planning your holidays on Boracay – the best place to have vacation in South-East Asia. 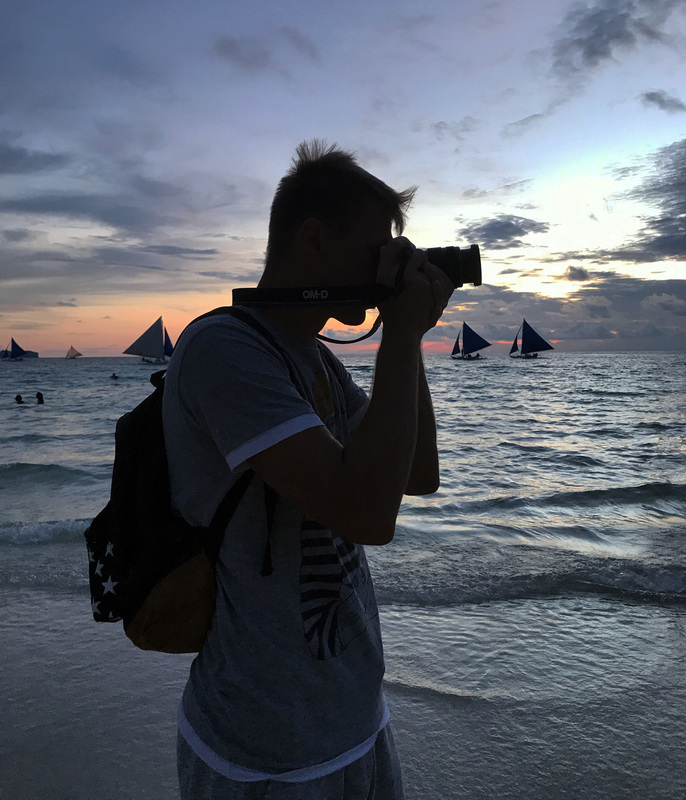 After reading our tips, you will know what to expect from the famous Philippine island and how to spend unforgettable days here. 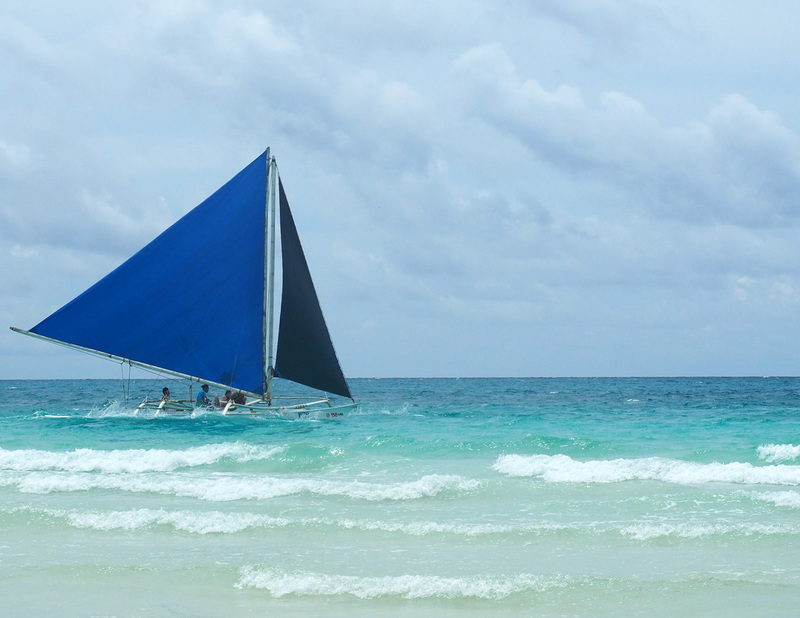 ⛵ Transport on Boracay – How to Travel Around the Island? Basically, all those traveling to the Philippines fly through the capital – Manila. And then to get to Boracay they fly from Manila to the island mostly by budget airlines ( CebuPacific, AirAsia, JetStar). As there are no direct flights to the Philippines from many countries – you have to fly with a stop or even several stops, while from some cities (for example, Hong Kong or Seoul) you can fly directly to Calibo (one of the two closest to Boracay airports). It is convenient if you don’t include Manila in the itinerary of your trip to the Philippines, and you fly only to Boracay or you start your journey from this island. And in case you fly to Boracay from other Philippine islands — here everything is simple, dozens of daily flights with Cebu Pacific, Air Asia, etc. from other islands and Manila, all you have to choose is the flight time. There is no airport on Boracay, Philippines. That’s why to reach the island you should fly to the airports of the neighboring Panay island. It’s up to you to decide whether to choose Kalibo or Caticlan. Caticlan is a small airport, and mostly small aircrafts fly there. If you travel through Caticlan – keep in mind that flights here are often delayed, it happens that they may be canceled and changed to Kalibo — remember it when planning a trip to Boracay, it’s better to have more time between the flights, otherwise your plans may be spoiled. Tickets for flights to Caticlan are usually more expensive, but you save on time and your energy, because the road to Kalibo is not a simple one. 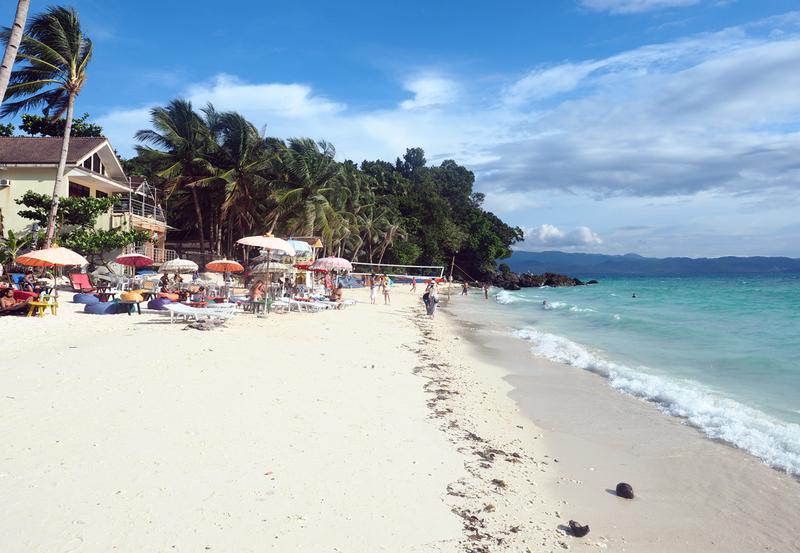 After arriving at the airport, you need to get to Boracay island. If you buy transfer to Boracay, it usually includes a meeting at the airport, then on a minivan you are taken to the ferry terminal, from where within 15 minutes you go by boat to the island, and then you are driven on a minivan to the hotel. You can order both group and individual transfers. There is an option to get from the airport to Boracay by helicopter (the cost from Caticlan is about 5000 PHP — $100 per person). To spend the final part of our trip around the Philippines on Boracay, we flew to Caticlan Airport from Cebu Island. At the exit from the airport, we were immediately surrounded by locals who offered us to buy a transfer to our hotel. We had no large suitcases with us, so we decided to get to Boracay island on our own. After arrival to Boracay all tourists can take a map of Boracay and Boracay Guide in the ferry terminal, and of course there is a large number of tricycles nearby. We rented a tricycle to the 2 station of White Beach for 200 PHP ($4), where we had dinner in one of the restaurants on the beach and enjoyed the sunset. And only after the sunset we went to our hotel Fairways and Bluewater Newcoast Boracay, paying again only 150 PHP for a tricycle ($3). As a result, the transfer from Caticlan Airport to Fairways and Bluewater Hotel Newcoast Boracay cost us less than 300 PHP per person ($6) (boat + tricycles), which is less than buying an organized transfer. Yes, instead of a minivan, we went on a tricycle and from the airport to the ferry terminal we walked on foot, but these are quite insignificant distances, so it was not a problem. The scheme of a self-transfer from Kalibo airport to Boracay is the same, but the distance from the airport to the ferry terminal of Caticlan is 70 km, which you can overcome on a minivan for 250 PHP per person ($5) or a taxi – for 2500 PHP ($50). The prices for an organized group transfer from Kalibo airport to Boracay start from 1250 PHP ($ 25) per person. 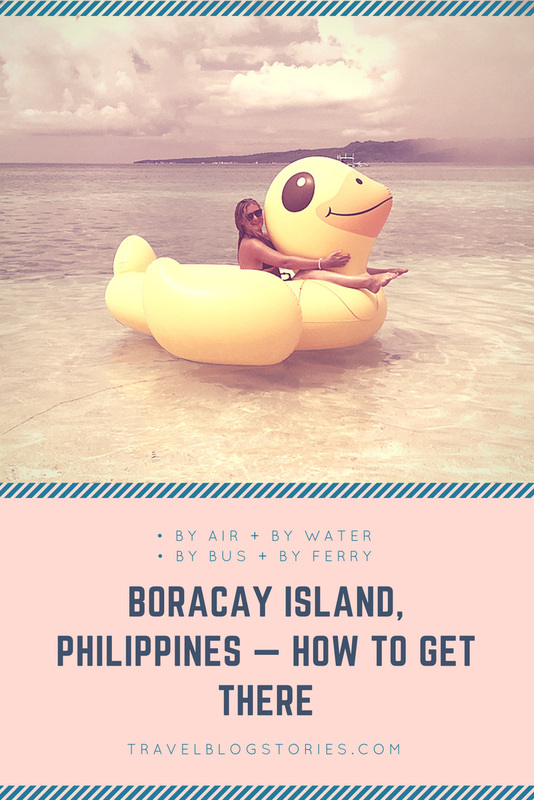 At first, this way to get to Boracay from Manila can seem cheaper than to go by air, but do not forget that the flight takes about 1 hour, while the bus + the ferry usually takes about 9-12 hours and quite a lot of your energy. The cost of getting to Boracay this way is about 1800 PHP ($ 36) per person. For such a price you can sometimes find cheap flights to Boracay from Manila to Caticlan. And my personal opinion is that getting from Manila to Boracay by buses and ferries is irrational and just incredibly tedious. 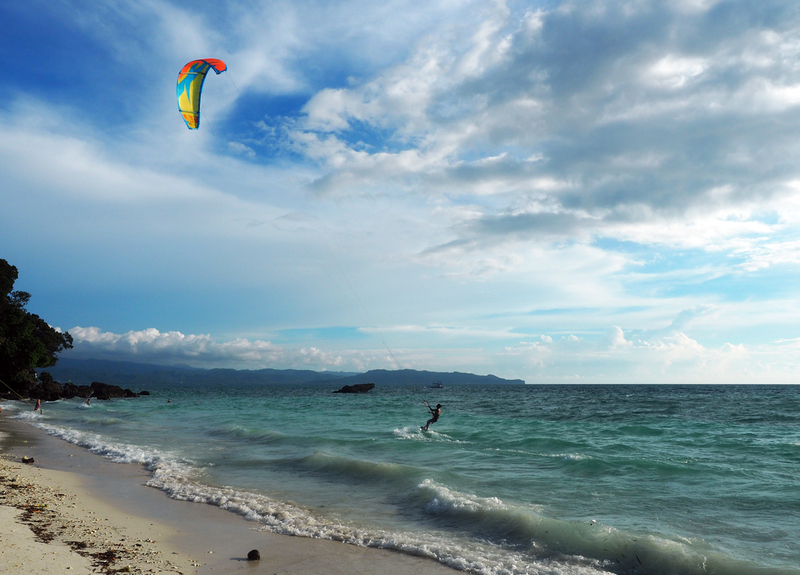 So if you are thinking about how to go to Boracay – by air is the fastest and least tiring option. 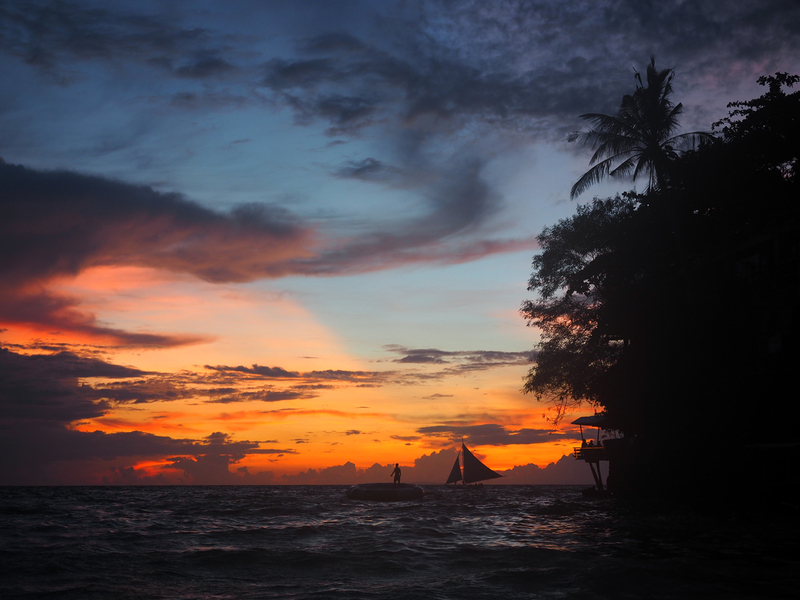 A minimum of time – and you are on Boracay! As elsewhere in the Philippines, Boracay has a fairly comfortable climate.Year-round summer is divided into seasons, each with its own features. Twice a year, the direction of the wind changes on Boracay, and with the wind changing the climate and appearance of the island changes too (which is important to keep in mind if you want to make colorful and attractive photos of Boracay island). 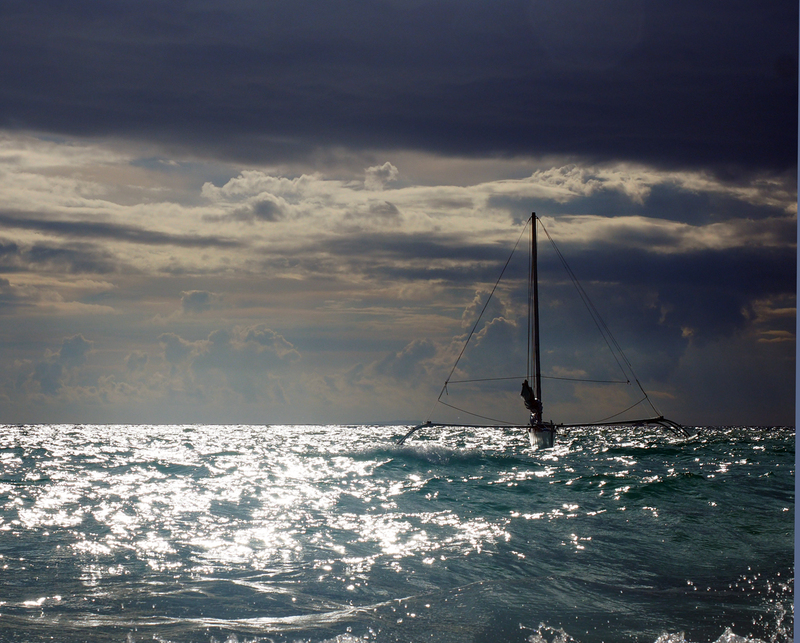 Habagat – is “wet season”, it usually lasts on Boracay from June to October, when the wet warm wind brings rains and typhoons. The rainy season does not mean it rains day and night, but at this time the weather is changeable, sometimes it changes up to several times a day. During the wet season the wind blows on White Beach, and accordingly the sea can be muddy, and the shore may be dirty from seaweed and small garbage. 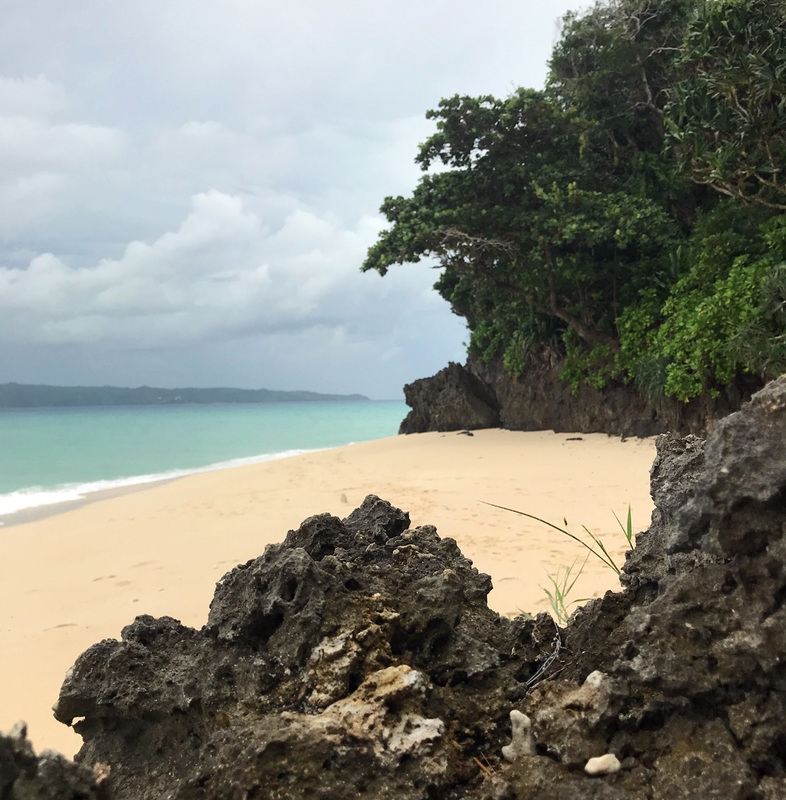 The sea on Puka Beach and Bulabog during the wet season is pretty calm. 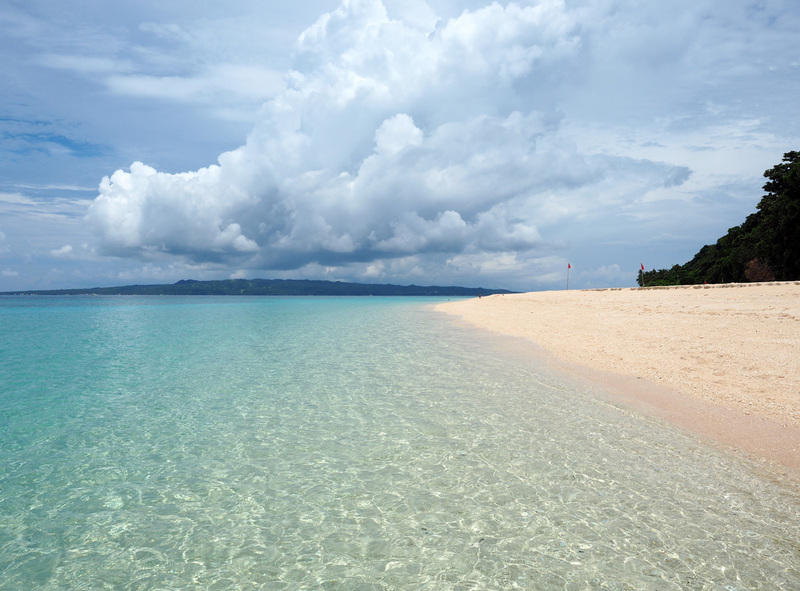 The rainy season has its great advantage – vacation on Boracay at this time is much cheaper. Prices for flights to Boracay, accommodation and even entertainment during the wet season are lower. 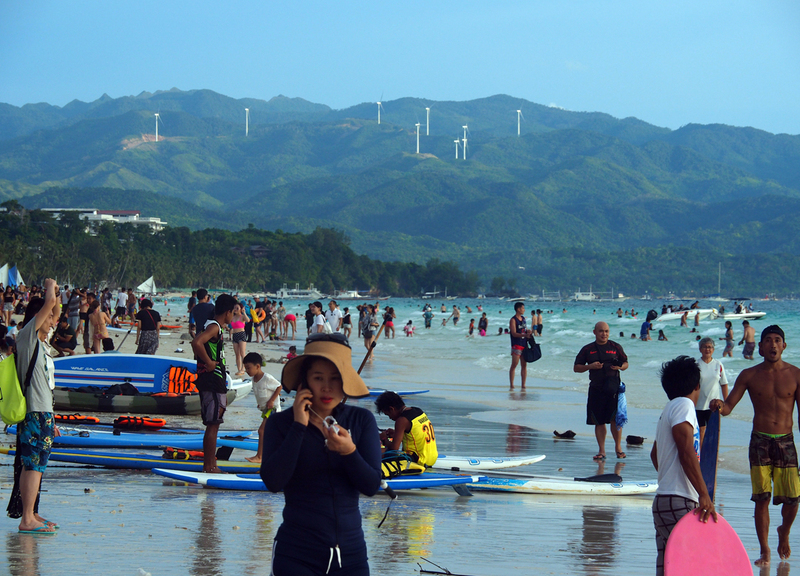 Amihan – is “dry season”, it lasts on Boracay from October to May. This is a complete opposite to the rainy season. 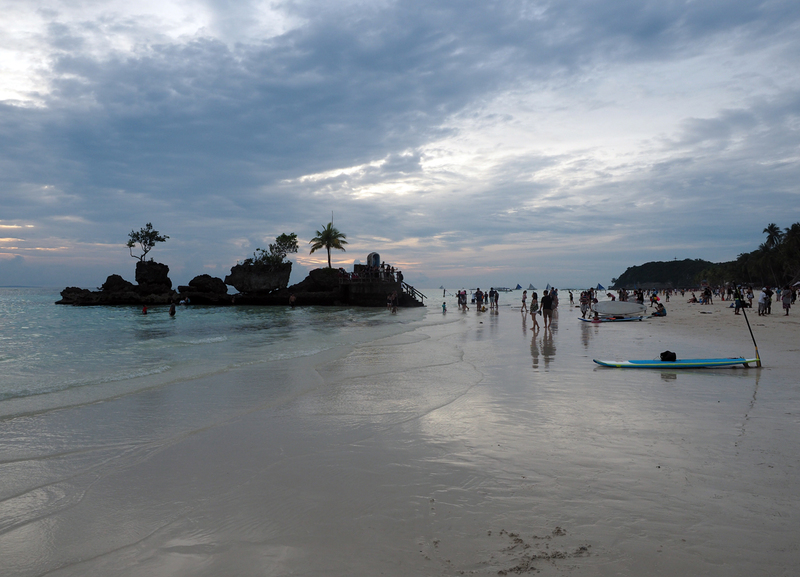 During this time the climate on Boracay is more comfortable and dry. 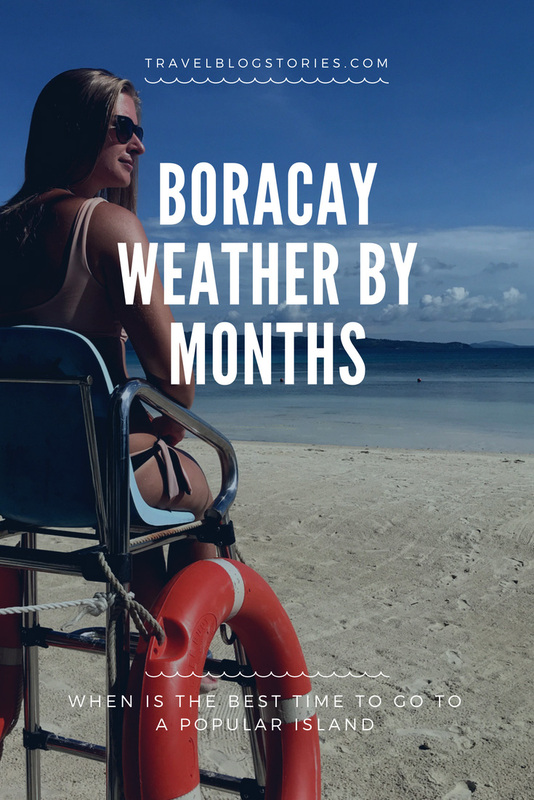 October and November on Boracay are often a transitional period to the dry season, and the weather on Boracay in these months is unpredictable and unstable, only by December the weather becomes dry. 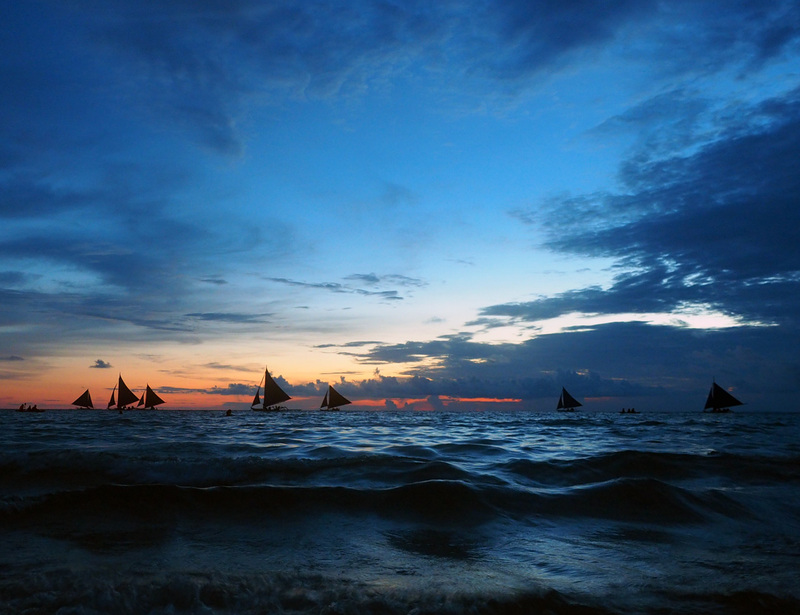 In January Boracay usually has a temperature a few degrees lower, which is considered a Philippine winter (25-26 С or 77-80 F). 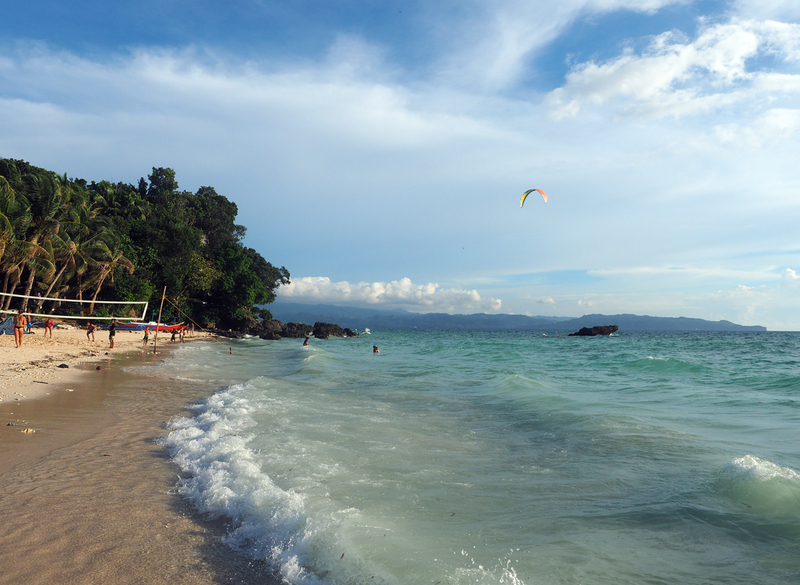 February and March are the driest and sunny months on Boracay. While April and May on Boracay is a Philippine summer (30-32 С or 86-90 F), these months are very popular for vacation on the island. 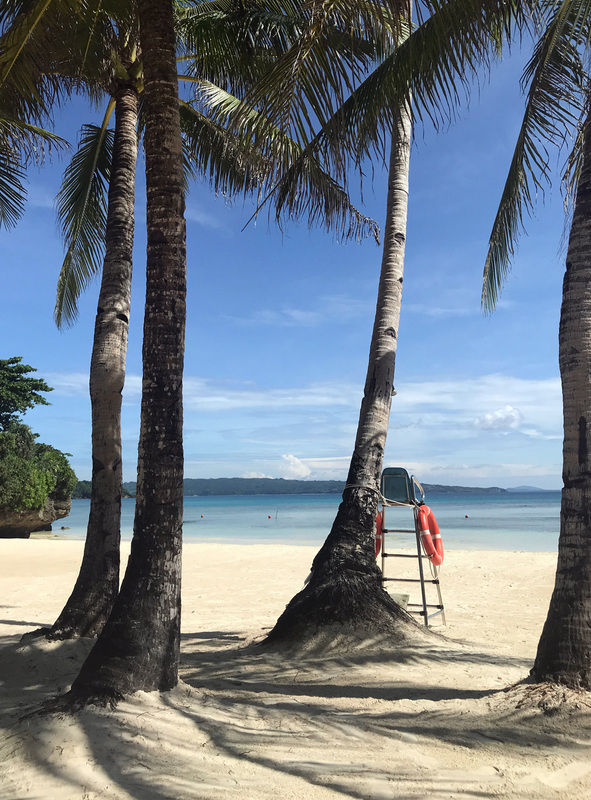 When planning a holiday on Boracay it is worth keeping in mind that during the dry season there is also a “high season”— from December to March. At this time the demand for flights, vacation rentals and entertainment on Boracay rises, and with demand the prices rise also. Peak of the season are Christmas, New Year, Chinese New Year, Catholic Easter and May holidays. We were on Boracay in the offseason – in the middle of October. Usually at this time the wind, and with it the climate, is changing. 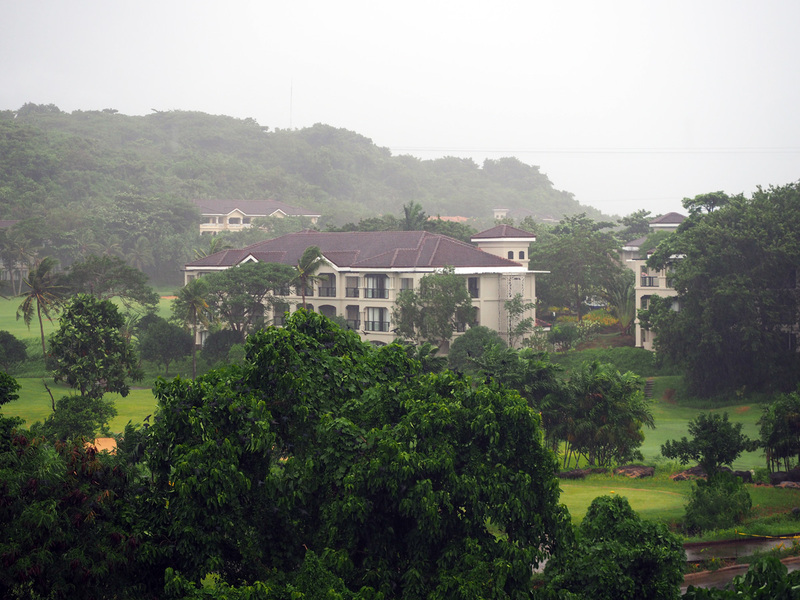 But the weather on Boracay was comfortable, it rained occasionally, and the rains were short. Mostly all the time of our stay the weather was sunny, and only on the day of our departure there was a heavy rain. 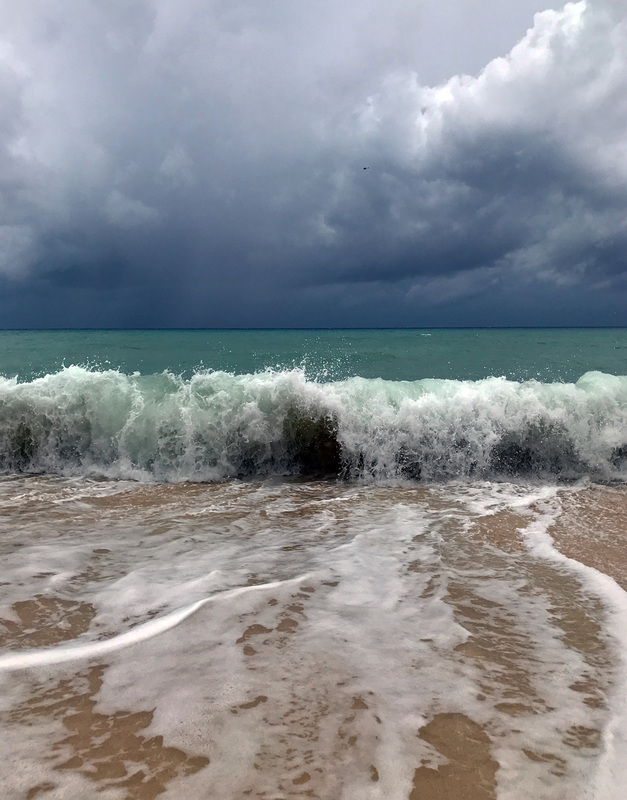 The main thing that we realized during our vacation on Boracay – it’s useless to trust the weather forecast before arrival and even while staying on Boracay, in reality the weather is different from the forecast, and you should not waste time looking for a weather forecast. Boracay is the island where absolutely any tourist can find accommodation to his tastes. Here, as it often happens in the Philippines, vacation rentals vary a lot – the island is small, and next to expensive luxury hotels and resorts with a private territory are neighboring huts of the locals, in which there are rooms with minimal conveniences at low prices for rent. Most of the hotels, all inclusive resorts, villas and apartments for rent on Boracay island are concentrated in the White Beach area — the longest and most popular beach, which is the main attraction of the island. For several years, White Beach is in the TOP-10 beaches, which is not a surprise, because White Beach is 4 km of fine white sand, framed by a row of palms and shallow waves of the purest emerald water. White Beach is the most popular tourist place on Boracay, it occupies the western part of the island, where Boracay is washed by the Sulu sea. 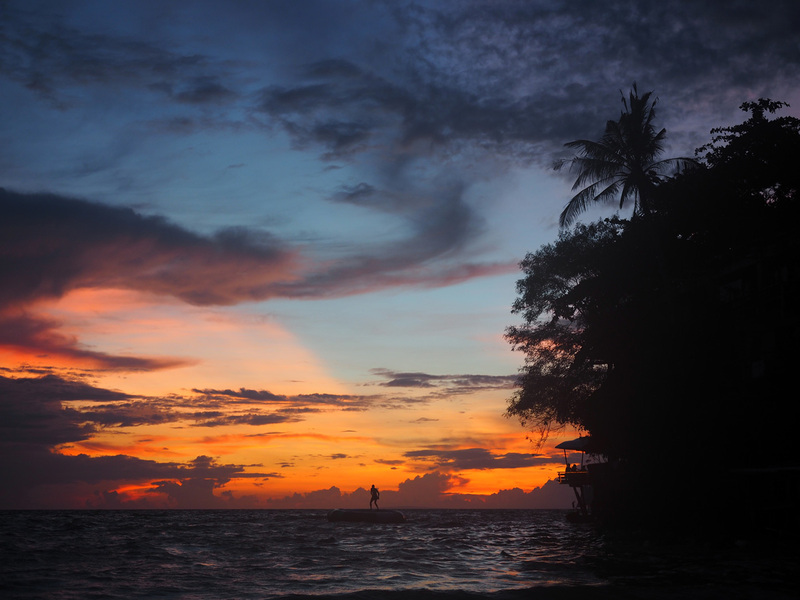 White Beach is always a busy place, but it is especially crowded during the sunset, when tourists from all over the island gather on White Beach to see the famous Philippine sunsets: when the sky of pink-orange tones is reflected in the sea against the backdrop of the island’s landscapes. Along White Beach there are a lot of restaurants, volleyball and frisbee playgrounds – on White Beach everyone will find something he would like to enjoy, although many prefer just to walk along the beach, thanks to the length of the beach and its beauty it will never get boring. White Beach is symbolically divided into 3 boat stations: 1 and 3 stations are more quiet in comparison with 2 station, where it is always noisy and crowded. On 2 station of White Beach most of the restaurants, shops, souvenir shops and tourist offices are located. On the beach at 1 and 3 stations, if you are tired of the crowd, it is quite possible to find secluded beach areas, especially at the end of 3 station of White Beach. 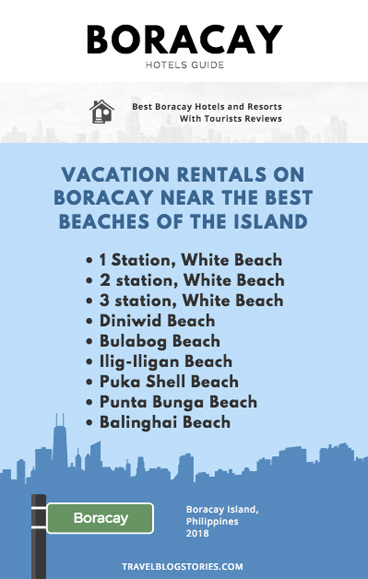 Vacation rentals at 1 station of White Beach are more expensive and luxury, while apartments in the area of 2 and 3 stations on Boracay can be rented cheaper. The rental price on 2 and 3 stations of White Beach is almost the same. Of course renting on the first line directly on White Beach will cost more than for example on one and a half line, although the distance to the beach is quite insignificant – just over 100m. 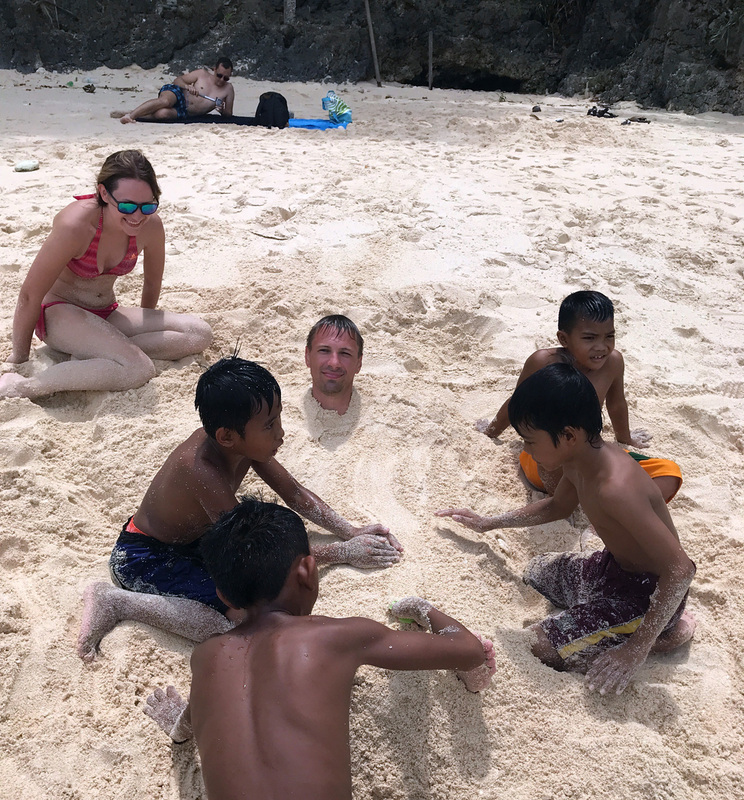 If you do not like crowds of people and want a more or less secluded vacation on Boracay – renting a room on 2 station of White Beach is definitely not worth it, especially on holidays! At the end of the 3rd station of White Beach the first-line hotels are smoothly changed by private houses of the locals, where tourists can rent a room with a balcony and the possibility to use a shared kitchen. On the island there are also small cozy beaches with a few hotels nearby. For example, Diniwid beach. 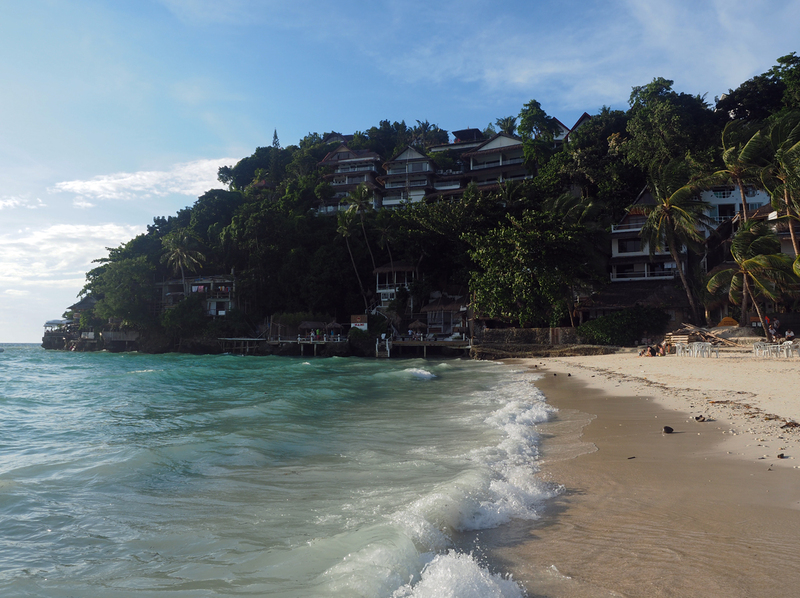 It was one of our two favorite beaches on Boracay. Diniwid – is a very small beach, without crowds of tourists. 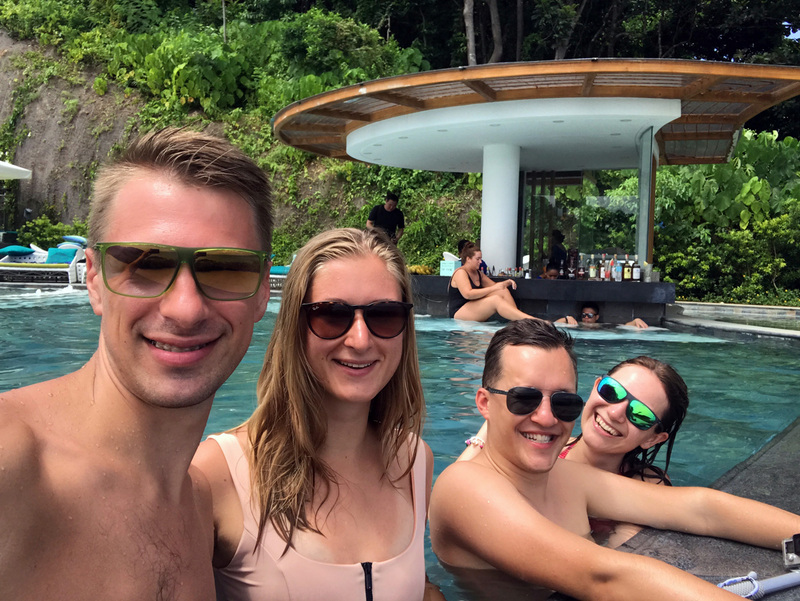 At the entrance to the beach there is a cafe where you can order drinks, and in the right corner of the beach, near the recently burnt Nami Resort – Mama’s Fish House restaurant, which is famous for its fish dishes, we were here for dinner and were totally satisfied. It is good to stay on Diniwid beach for the sunset, the view from the beach is breathtaking, the same as on Boracay’s White Beach, but there are no crowds of people around you. If you want to get from Diniwid beach on White Beach – you can do it very quickly, between the beaches there is a path along the shore close to the rocks. 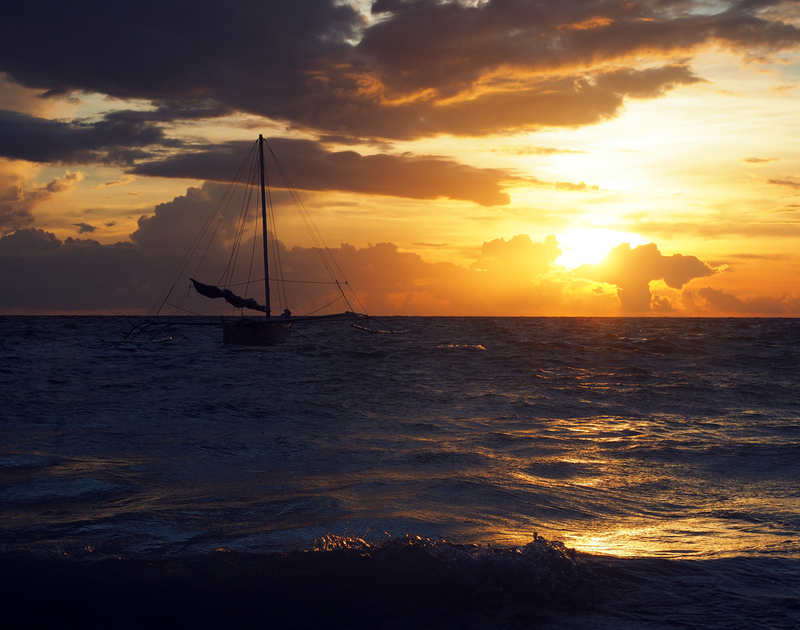 A few minutes – and you are at the very beginning of 1 station, White Beach. The hotels located on the cliffs have a breathtaking view from the rooms. The hotel Nami Resort until recently had a popular restaurant on top of a cliff, and accordingly the restaurant had a magnificent view, but during the fire in January 2018 the restaurant, elevator to it and the rooms burned out. It is still unknown, how soon the hotel will be restored. You can also rent accommodation from locals near Diniwid beach. Moreover, during our stay in October 2017 there was construction everywhere – many locals built additional apartments, as the demand for apartments on Boracay is high. 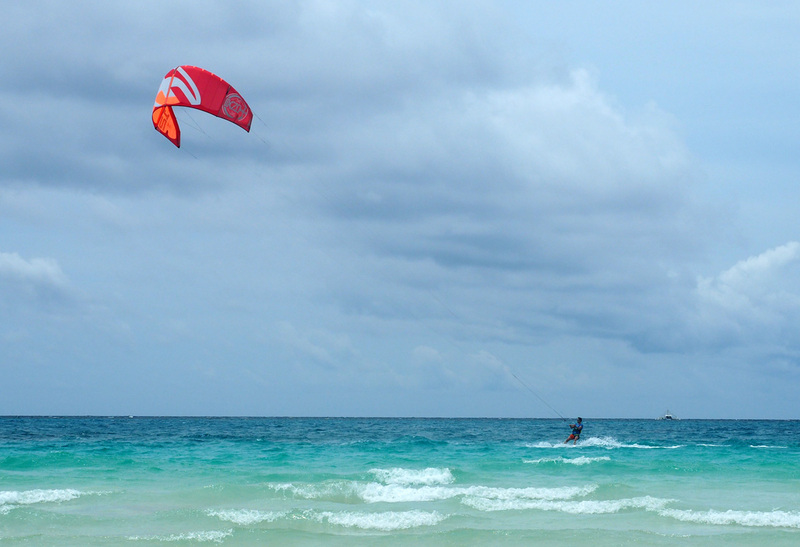 If the main reason of your stay on Boracay is kitesurfing, you should pay attention to apartments near Bulabog beach — a favorite kitesurfers’ place. There are not so many vacation rentals as on White Beach, but, however, there is a great choice of them. 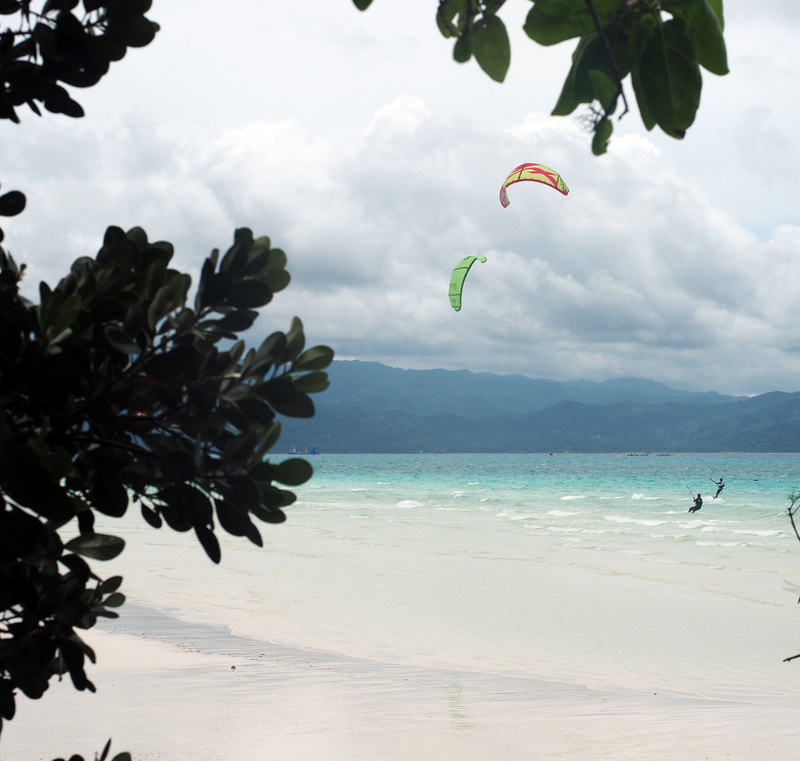 What about Bulabog beach — it is suitable only for sports: kitesurfing, windsurfing, parasailing, water skiing. 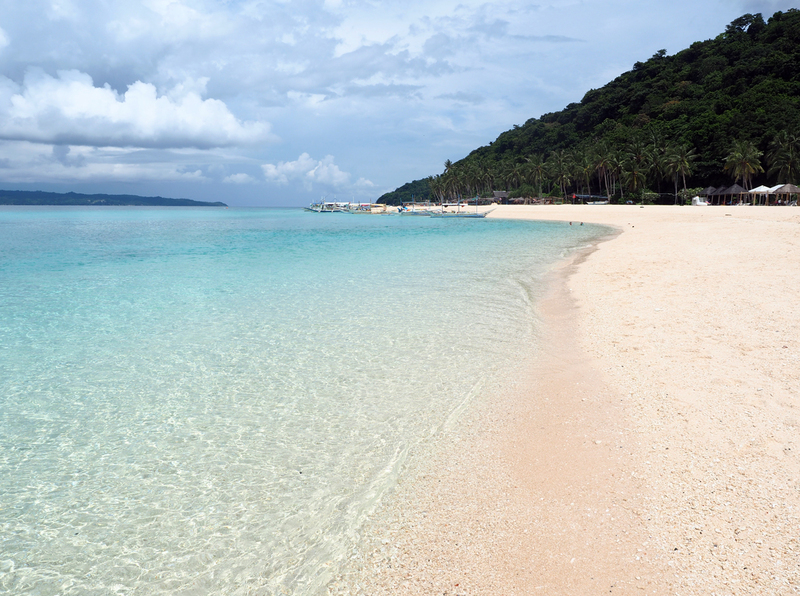 You can hardly lie down and relax on white sand and swim in turquoise water on Bulabog beach. 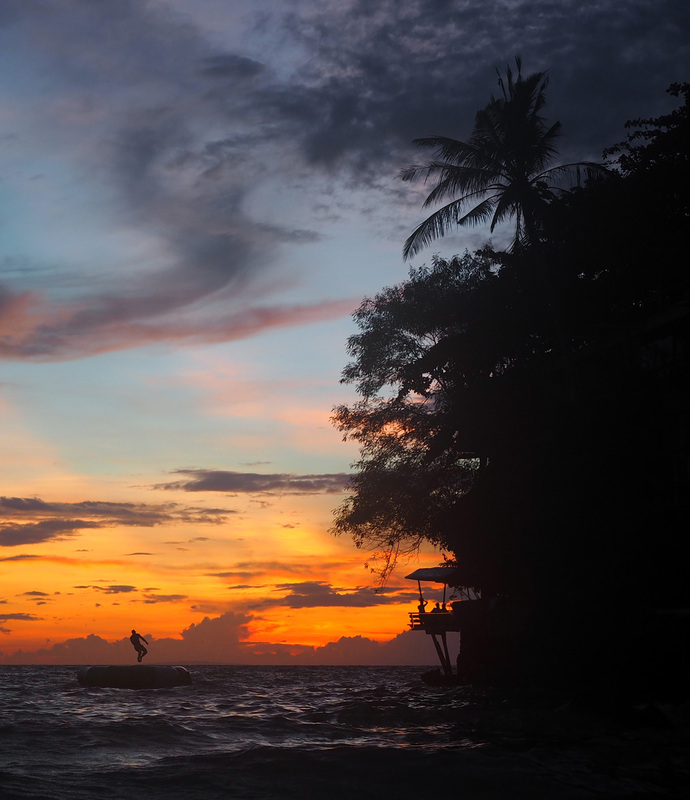 Nevertheless, Bulabog is one of the best beaches in Asia for kitesurfing. 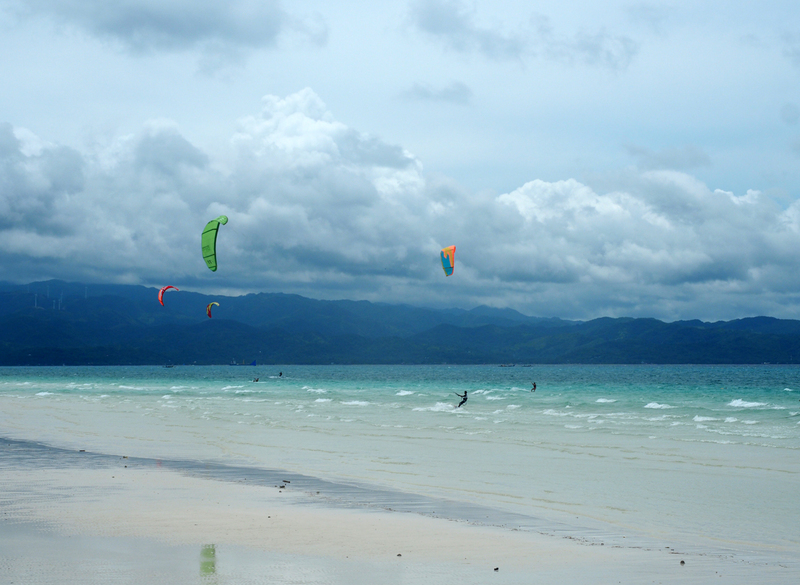 There are many schools where you can learn kitesurfing near Bulabog beach. The wind blows on Bulabog from November to April, and amateurs from all over the world come here to ride. Bulabog beach is not good for swimming – it is not deep, there are many algae, corals and sea urchins. 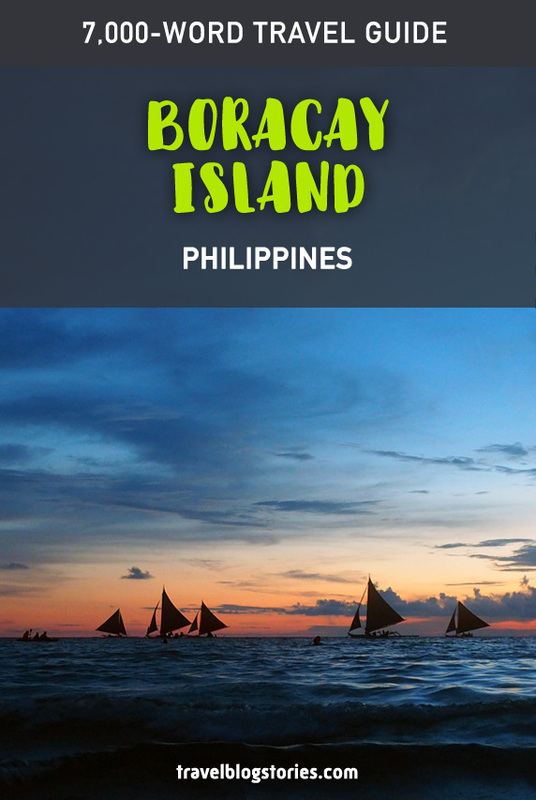 Bulabog is located on the east coast of the island, where Boracay is washed by Sibuyan sea. Depending on the season Bulabog may look not very attractive. 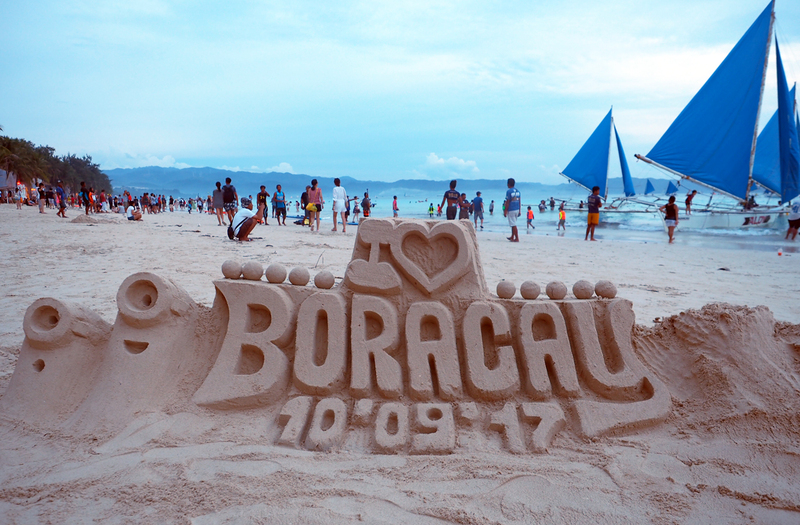 During our trip to Boracay in October 2017 it was exactly that way – when we came to Bulabog, we saw a huge number of boats, which brought tourists who prefer active leisure activities, the whole beach was in algae and in addition we couldn’t make a step – we were insistently offered a ride on water skiing or a banana. All this lead to the fact that after a short time we sat in a tricycle to leave Bulabog. I do not deny that we just were not lucky, and we got to Bulabog at an unsuccessful moment, because I saw quite attractive images and photos of other tourists from this Boracay beach. In good weather, you can come to Bulabog to admire the colorful kites rising above the water. This beach exactly has a special energy. There are houses of locals between Bulabog beach and White Beach. Rooms, apartments or villas here are rent mostly by kitesurfers or those who come to the Philippines and rent accommodation on Boracay for several months, in season. In this area of the island there are both small houses and large villas for families or companies for rent. Lapuz lapuz beach belongs to Fairways and Bluewater Newcoast Boracay Hotel. We stayed on Boracay at this hotel and visited the beach every day, mostly early in the morning from 8 to 10 am, when other guests of the hotel had breakfast, and we could enjoy the almost empty beach. The beach is divided into two parts by a rock. At low tide you can easily walk along the sea near a rock from one part of the beach to another. During the tide, you can swim, or you’ll have to go around the hill on the territory of the hotel. As for Lapu Lapu beach, its territory is well-groomed, every morning the beach is cleaned of garbage, at the entrance to the beach there is a bar where you can order drinks and snacks. 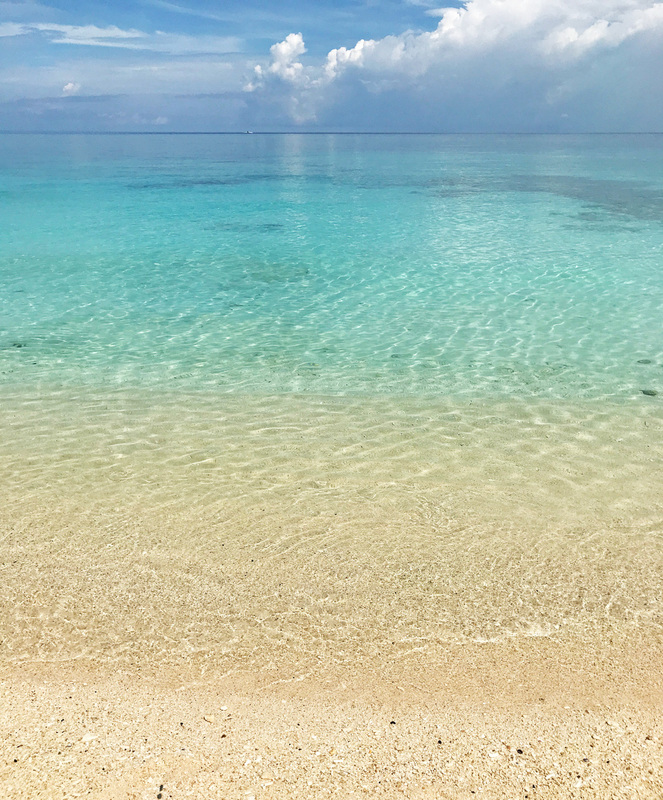 There can be good snorkeling on the Lapu-Lapu, but as a result there is a slight inconvenience – the bottom of the shore is covered with broken corals, so it’s better to walk along the beach in coral shoes. On Lapu Lapu in the mornings you can see a large number of sea stars and sea urchins. 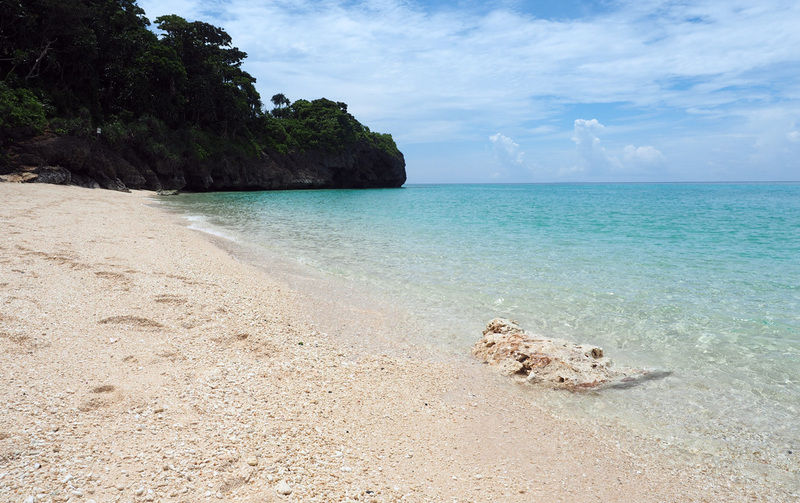 In general, Lapu Lapu is a nice pleasant beach, which is surrounded on both sides by cliffs. You can have a good time on the beach, but rather in the morning, while there are not many hotel guests. 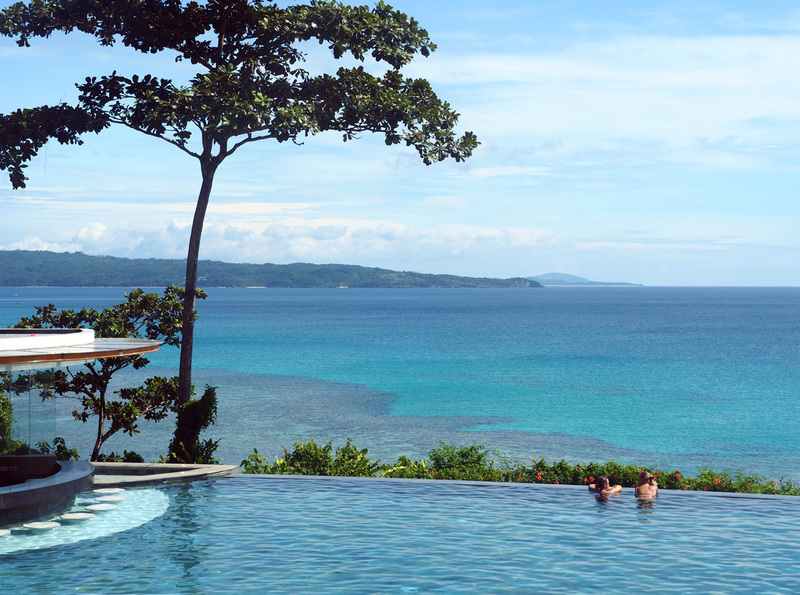 Fairways and Bluewater Newcoast Boracay Hotel Review. 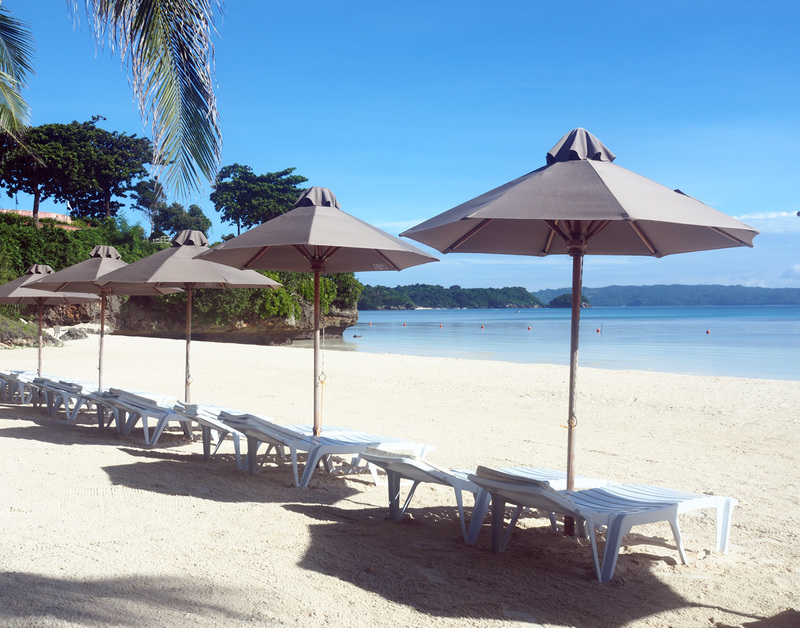 For staying on Boracay we chose Fairways and Bluewater Newcoast hotel. It is a hotel with a huge territory, most of which is occupied by golf fields. And as a result, around the territory of the hotel you can move only on transfer minivans. Some guests complained that it took them a long time to wait for the transfer, but we never waited for more than 10 minutes. According to the timetable there is a transfer to D’Mall from the hotel and back – to the shopping center with a lot of restaurants at 2 station of White Beach, which is quite convenient. What about transfer back from D’Mall to Fairways and Bluewater Newcoast, every evening there was a huge queue of hotel guests awaiting for transfer, and in order not to waste our time, we returned to the hotel on the tricycle. Fairways and Bluewater Newcoast Boracay hotel has its own beach – Lapuz lapuz, where we almost alone spent every morning. In the evening you can dine at the beach cafe, here they also organize animation like fire show. 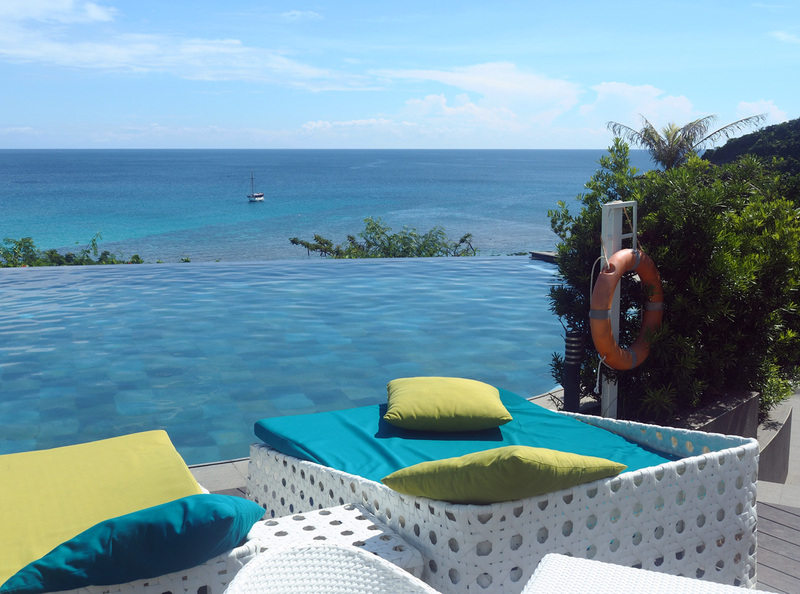 There are several different swimming pools in Fairways and Bluewater Newcoast Boracay, some of them are out of date, but there are also fresh ones – for example, the favorite of all guests Infinity Pool or Laguna Pool. Buildings of the hotel are divided into zones, each of them has its own name. We lived in Monterey. 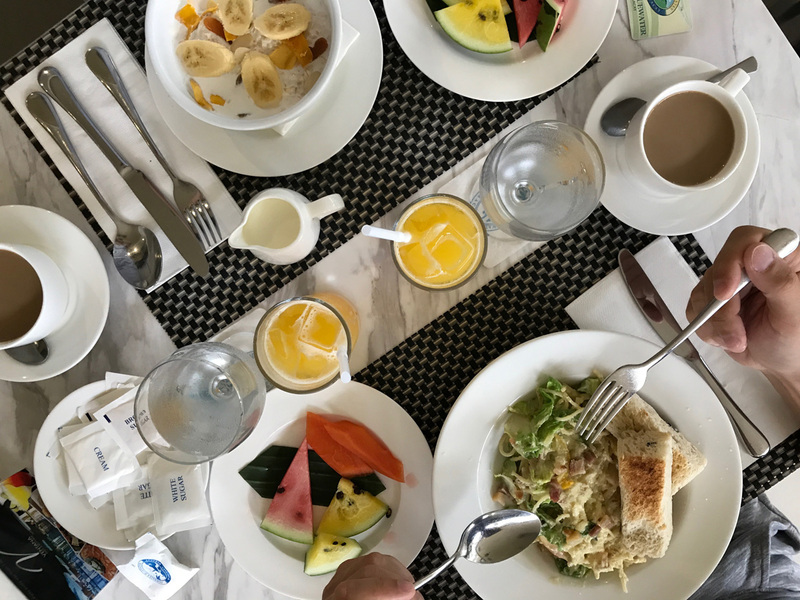 Nearby is the above-mentioned Laguna Pool, on the first floor of Monterey there is a restaurant, where breakfast for all guests is served in the mornings. For breakfast there is a separate menu, in addition to the selected dishes they serve fruit, juice and tea or coffee. The menu for breakfast is wide and everyone can choose what he likes: from light ones like granola, muesli or pancakes to carbonara, fish pies or something with meat. The rooms in Monterey are standard, in a classic double room there are two queen-size beds, a balcony, TV set. There is a supermarket across the street from the hotel. In Fairways and Bluewater Newcoast you can organize activities, such as horseback riding, water sports and zip-line, which can help you to enjoy attractions of Boracay from height (at an altitude of 100 meters, the length of the descent is 650 meters). 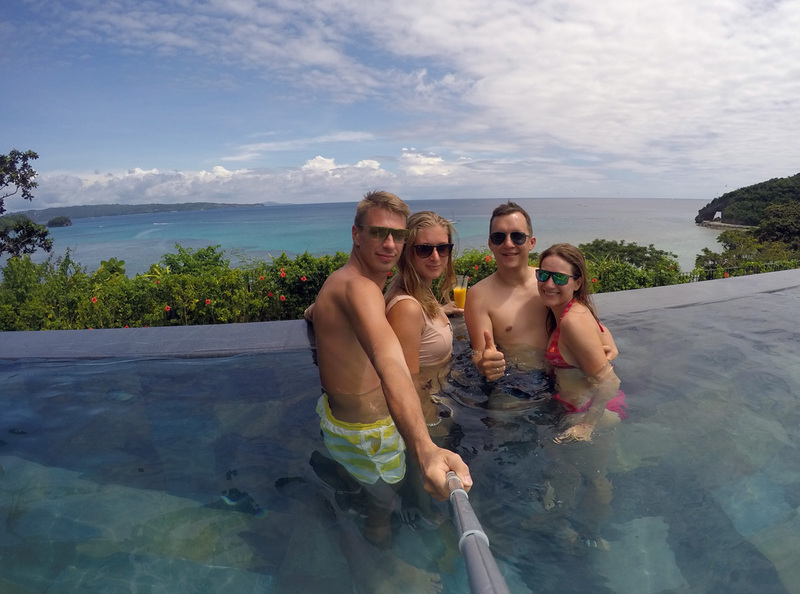 In general, while staying at Fairways and Bluewater Newcoast Boracay we did not have any negative moments. The hotel matches its price. Yes, you need to lose time moving around the territory of the hotel, but at the same time you have a lot of opportunities to spend your leisure time — on the beach or at different pools, and in the evening you can visit several cafes in various hotel complexes, which is especially good in rainy weather – you do not need to go to the center of the island. 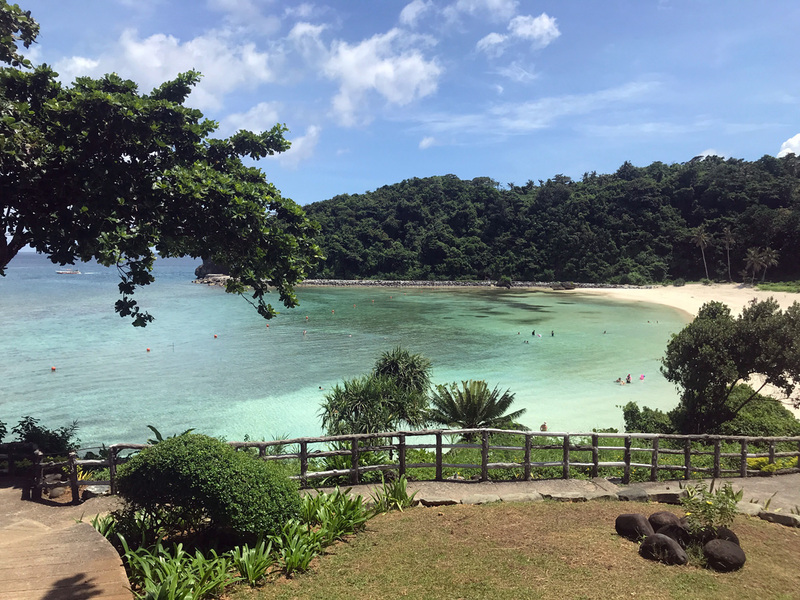 Another advantage for us was that Fairways and Bluewater Newcoast Boracay Hotel was close to the beaches we loved – Puka Beach and Diniwid Beach. If during your staying on Boracay you want to play golf – you can do it in Fairways and Bluewater Newcoast even if you are not a guest of a hotel. The prices are on the hotel’s Website. 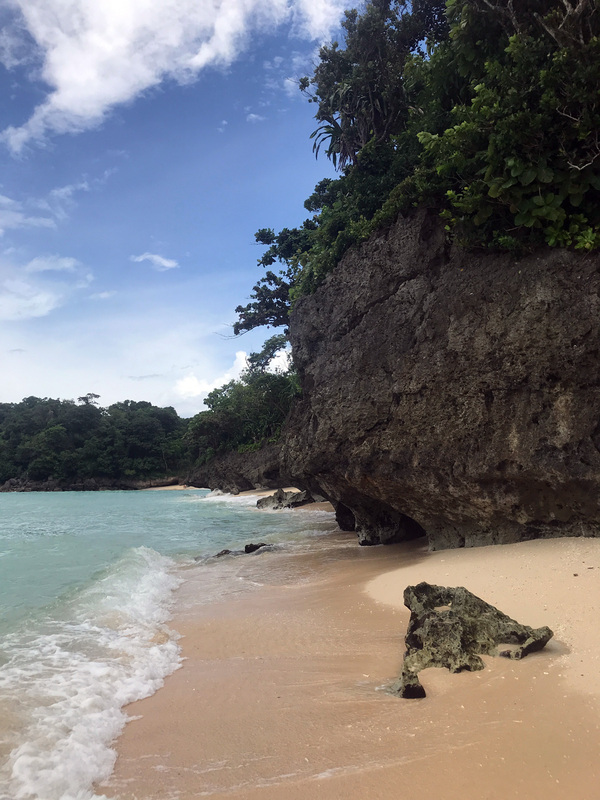 Another popular beach on Boracay is Ilig iligan, which is located on the eastern shore of the island between Puka and Bulabog beaches. 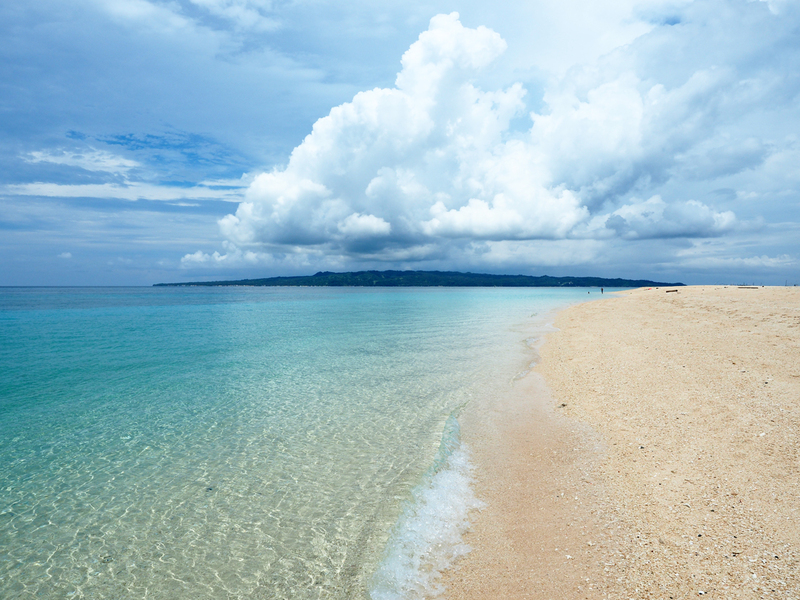 Compared with White Beach, Ilig – Iligan is a secluded beach where you can relax from the crowds of tourists in a calm atmosphere. 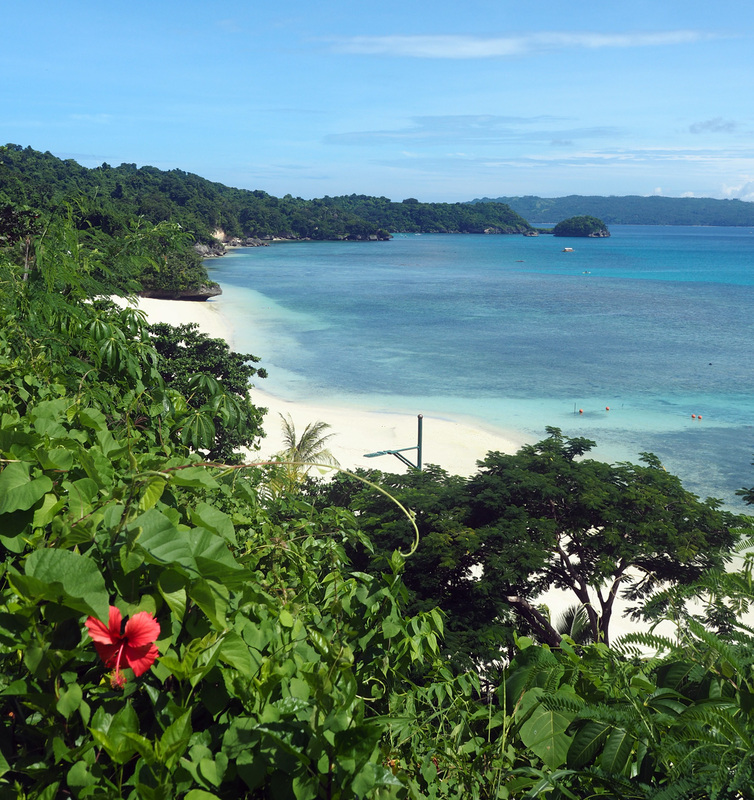 There is no developed infrastructure, but this is the place where you can fully enjoy the beauty of Boracay’s nature. 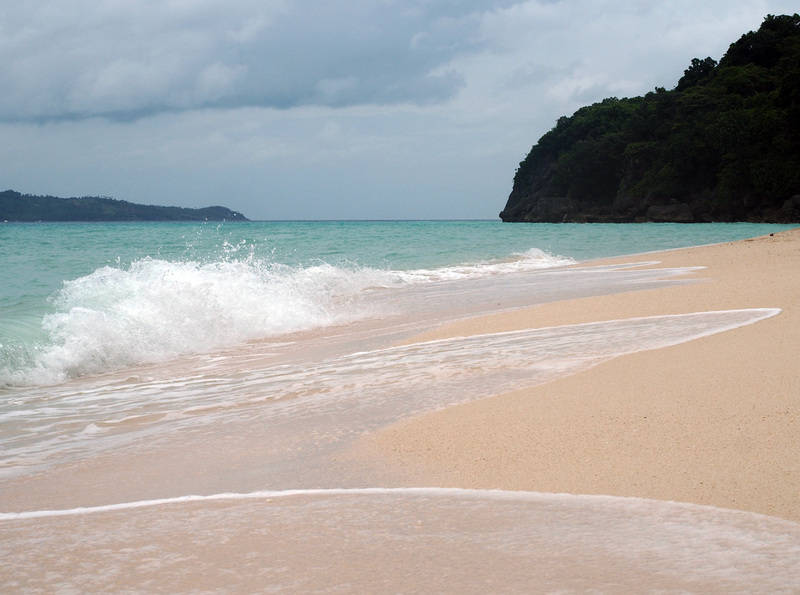 Our favorite beach, located in the north of Boracay, was Puka Shell beach. To get to the beach it is better to rent a tricycle. The cost of the route approximately from the centre of the island is 150-200 PHP ($3-4). At the entrance to the beach there are souvenir shops offering tourists crafts made of shells. And also just to the right directly at the entrance is the only good cafe on Puka Beach – Puka Grande. We especially liked the grilled fish here. 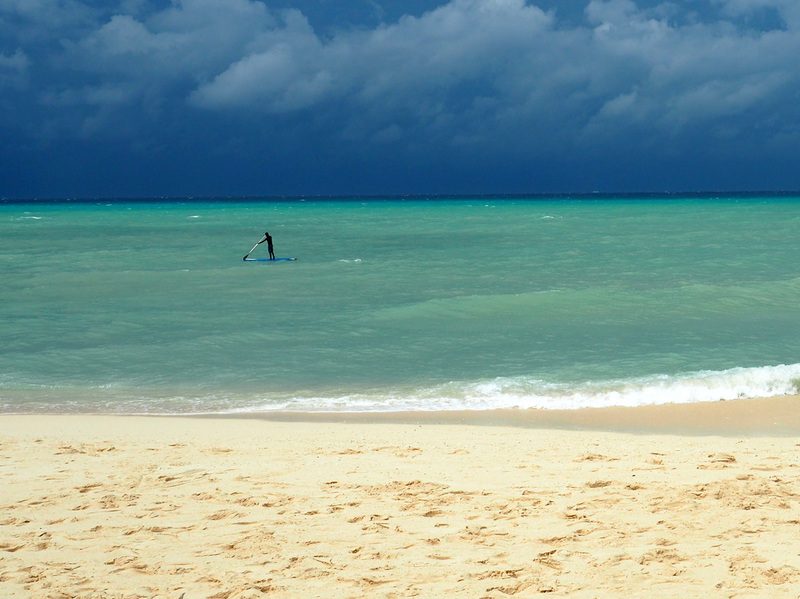 Puka Beach is a huge beach with the water of an incredible rich turquoise color. If you go to the left of the entrance – you will immediately be offered to rent chaise-longues at beach cafes offering drinks and light snacks. There are a lot of such cafes on Puka Beach, and the closer to the entrance – the higher is the cost of renting a chaise-longue. The price usually includes 1 drink like beer and in some places – the opportunity to use a sup board. It’s better to ask about what is included in the rent of a chaise-lounge in advance. There are places where you can play beach volleyball on Puka beach. An interesting and enjoyable activity is to walk along the beach – to the cliffs where Puka Beach ends. But 100m to the end of the beach there are security guards, who do not let anyone go further, and most likely the guards are watching that no one is trying to get onto the territory of a nearby luxury hotel Shangri-La’s Boracay Resort and Spa. We agreed that we will quickly walk along the sea, make a couple of shots and quickly return. This part at the end of Puka Beach is one of the most picturesque. Other picturescue parts of Puka beach are on the right side of the main entrance to Puka Beach. Here the beach is divided into small areas under the rocks, surrounded by cliffs. When the waves are not strong, it’s not difficult to go between the cliffs to the distant parts of Puka beach, and if possible, you should definitely do it. This part of Puka Beach is always not crowded, there are usually mostly locals, when we were there – only local teenagers at the beach were drinking rum. On different days we managed to see Puka beach in different weather. And these were 2 completely different beaches. In sunny weather Puka beach was absolutely calm, while on a cloudy day the waves knocked us down and it was necessary to make an effort to go in and out of the sea. 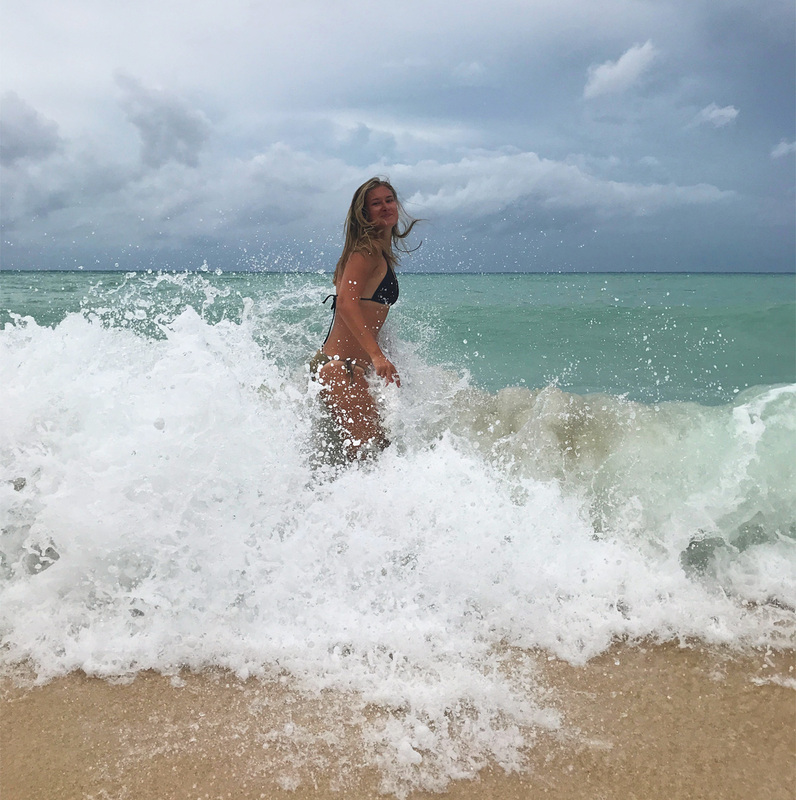 We fell in love with Puka Beach in any weather, it is always beautiful, and you can always find secluded areas without people on Puka beach. There are no hotels on Puka beach. But this is temporary, during our stay there was a construction right near the entrance to the beach, so soon a new hotel will probably appear here and the number of holidaymakers in secluded areas of Puka Beach will increase. 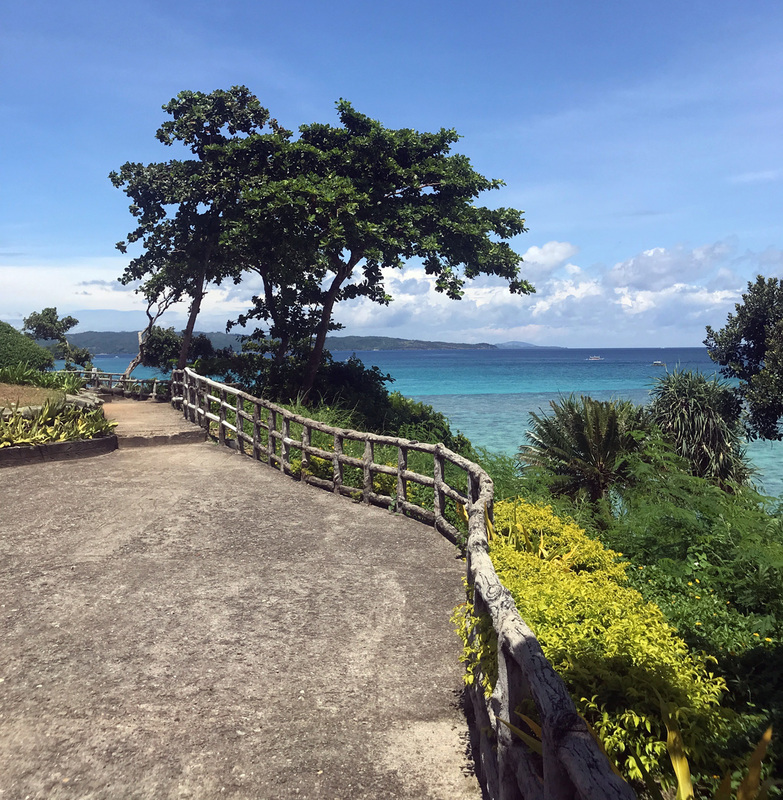 If you want to rent apartments near Puka Beach you should consider options in the Yapak area, which is located in the north of Boracay island. Every time to get to the center of the island you’ll need to take a tricycle, but at the same time you will live near a good beach, not as crowded as White Beach. To the South from Puka Beach on the west side of the island there is a small cozy Banyugan Beach. There’s the only way to get to the beach — be the guest of Shangri-La’s Boracay Resort and Spa. 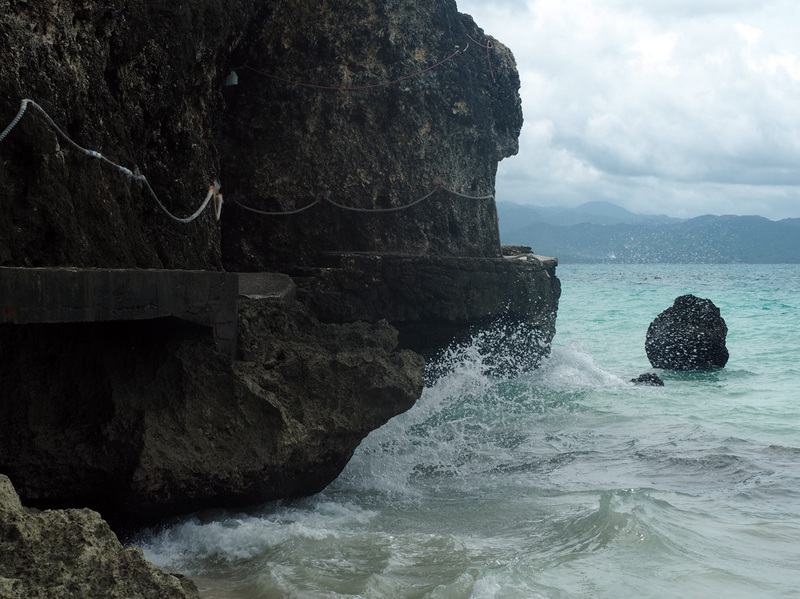 Also to the south from Puka Shell Beach on the west coast of Boracay there is Punta Bunga Beach. 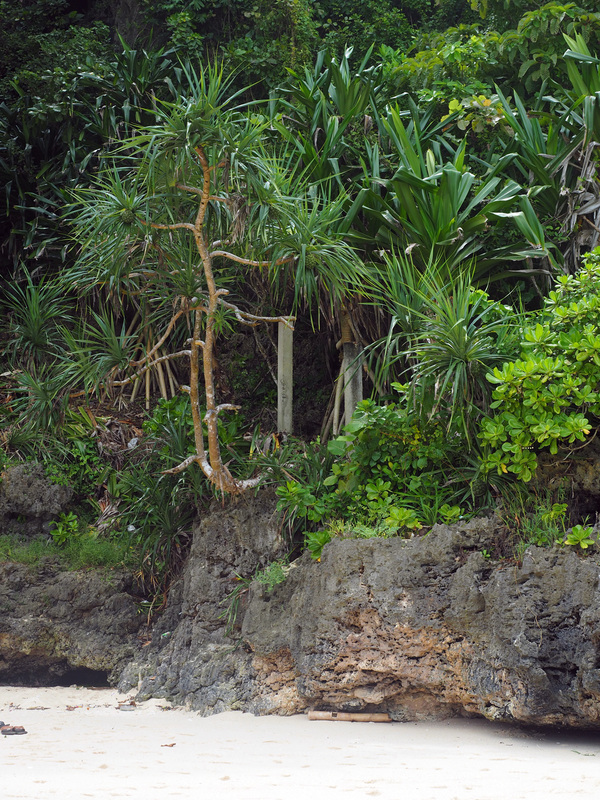 This is a private beach for guests of the nearest luxury all inclusive resorts on Boracay. The beach itself is municipal, but the roads, leading to it, belong to resorts, and so not being a guest of nearby hotels on Boracay island you can not get to Punta Bunga beach. According to reviews this is a good beach, another in high-end hotels on Boracay is simply impossible. Punta Bunga is fine white sand and the purest turquoise water. A small island, covered with greenery, located near the shore makes Punta Bunge more picturesque. Between the hard-to-reach Punta Bunga beach and Diniwid beach there is Balinghai beach. It is a small pretty picturesque beach, located in a bay. Balinghai beach is not an ideal one for relaxation, there are many stones and the beach area is not well-groomed. But if you have enough time, you want to visit a new beach and relax from the crowd of tourists – Balinghai is a good idea. Nearby is Balinghai Beach Resort with a private fenced well-maintained beach of a small size. You can get there for 500 PHP ($ 10) per person. On the beach, owned by the hotel, there are sun loungers and a restaurant (drinks and food there you can order at the expense of a deposit for visiting the beach). 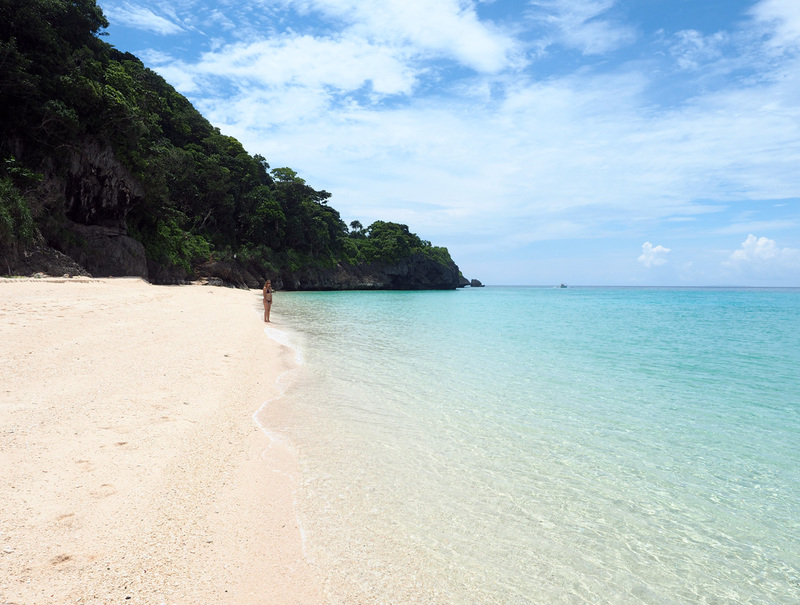 The private beach Balinghai offers good snorkeling and usually it’s not crowded, so it is definitely worth visiting. Note that to get to the beach you will have to go down a hundred steps from the Balinghai Beach Resort, and return the same path. For your convenience we put all the important points of the island, which we write about in the article, on the map of Boracay. Upon arrival at the port of the island, everyone can take a printed map & guide of Boracay, where absolutely all the locations on the island are marked. Boracay is ideal not only for beach holidays, if you have a desire and enough money you can organize interesting and exciting entertainment on the island. 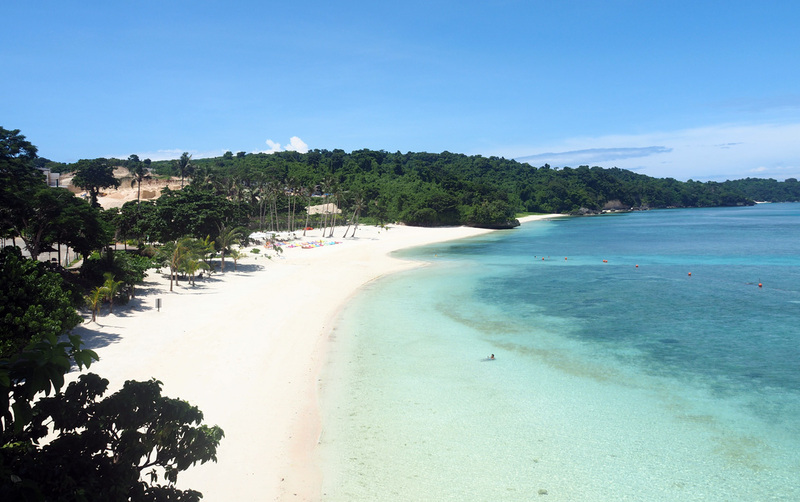 Along White Beach mostly at 2 station you can easily find a large number of agencies offering excursions, island hopping, tours and entertainment on Boracay. 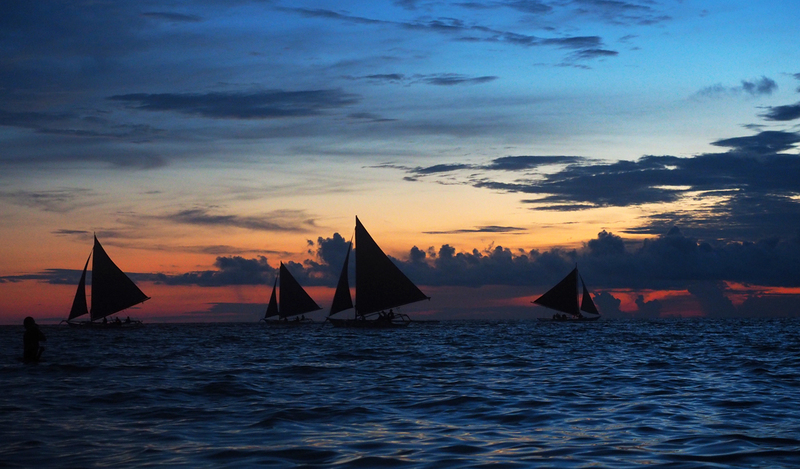 Here you can get advice on what to see + what to visit and do on Boracay. 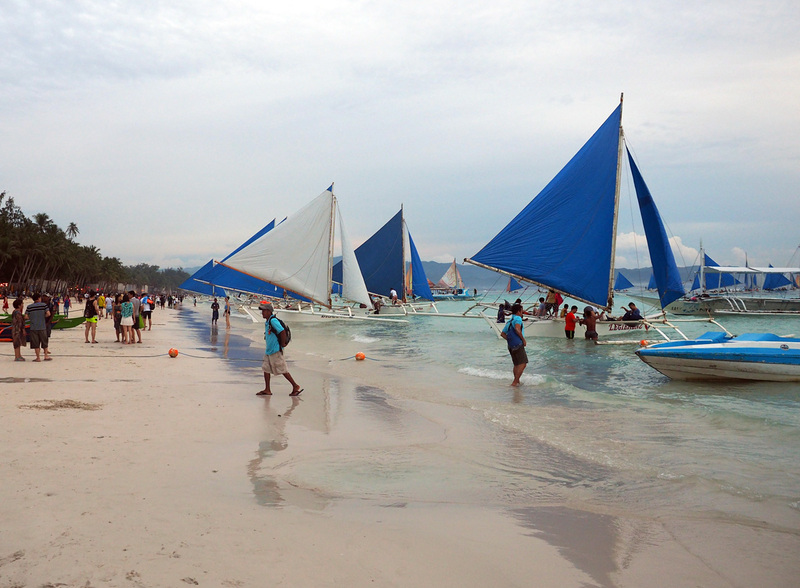 If you choose a boat trip around Boracay, pay attention to the weather — during a strong wind it is difficult and dangerous to go around the island by boat due to big waves. That’s why in windy weather, the high risk is that the boat will pass only along the island. 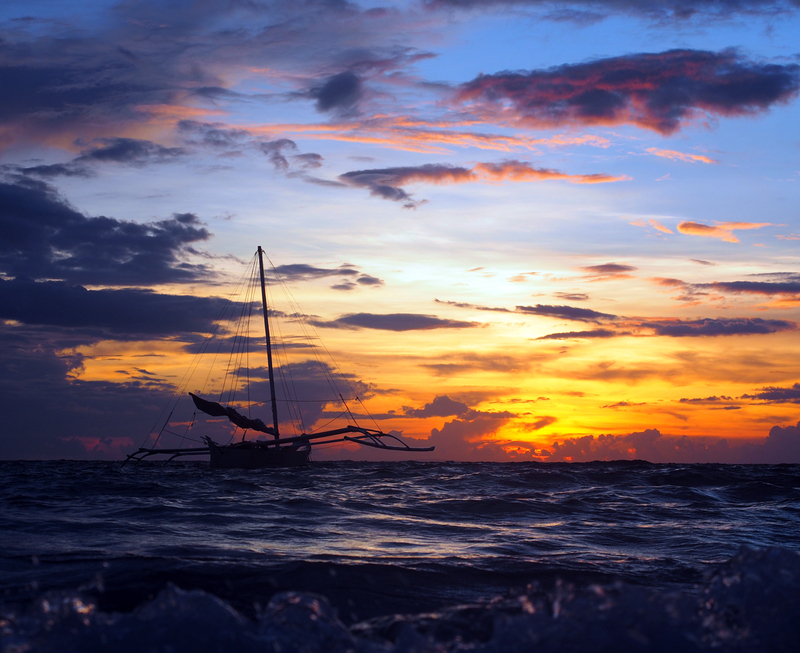 Sunsets on Boracay as everywhere in the Philippines are fantastic, sunset images made on Boracay will remind you of this pure beauty a long time. On Boracay you can rent a luxury private yacht. The time spent on snorkeling or diving from the boat on Boracay will be fascinating too (Snorkeling costs 1,400 PHP per person ($28), Diving — 3,000 PHP per person ($60)). 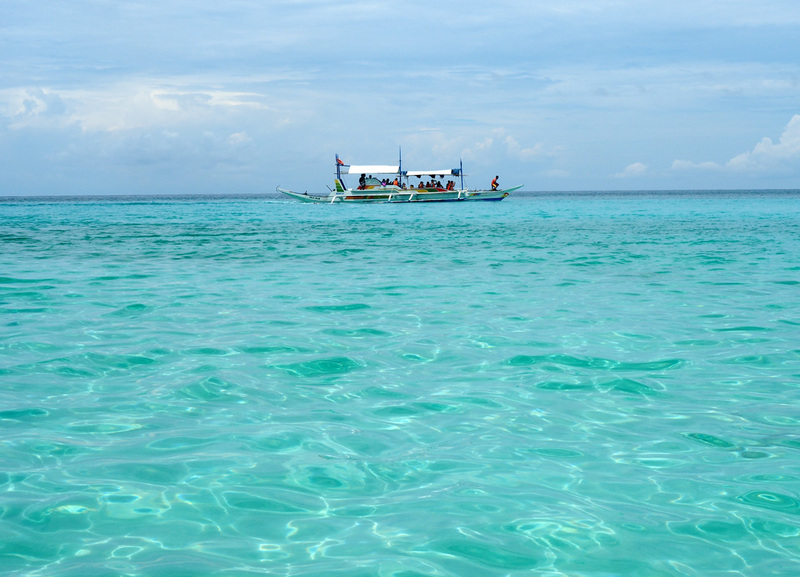 There are no places for diving directly near the coast of Boracay, so tourists are taken by boat to diving spots. Fans of water sports on Bulabog beach can enjoy riding a water motorcycle (2,500 PHP for a 30-minutes rent), kitesurfing (from 3,400 PHP for 1,5-hour lesson for beginners), windsurfing (course for beginners costs 2,700 PHP for 5 lessons for 1 hour each). 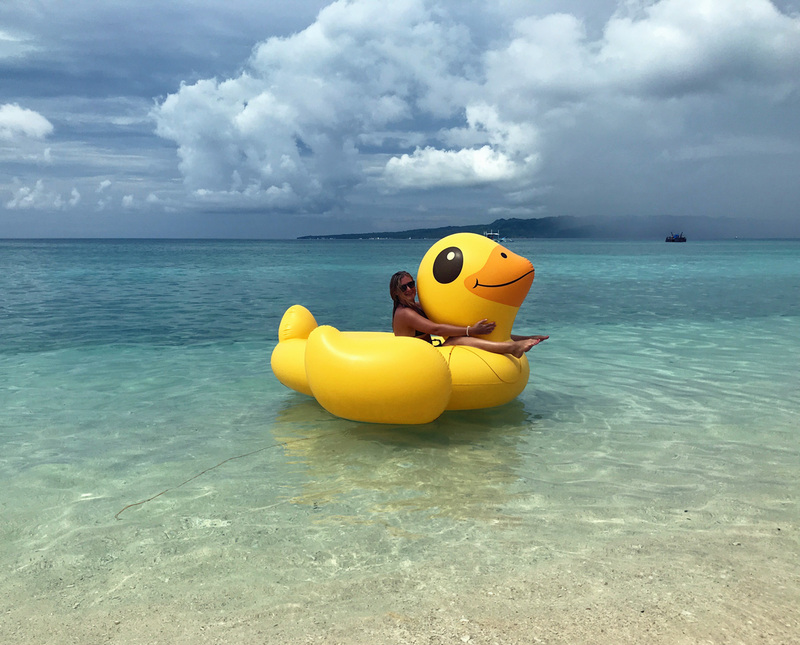 If water sports are not your story, you can brighten up your holiday on Boracay by parasailing (2,000 PHP ($40)), riding on a “banana” (300 PHP ($6)) or try your hand at the sup board (1,000 PHP for 1 hour rent). 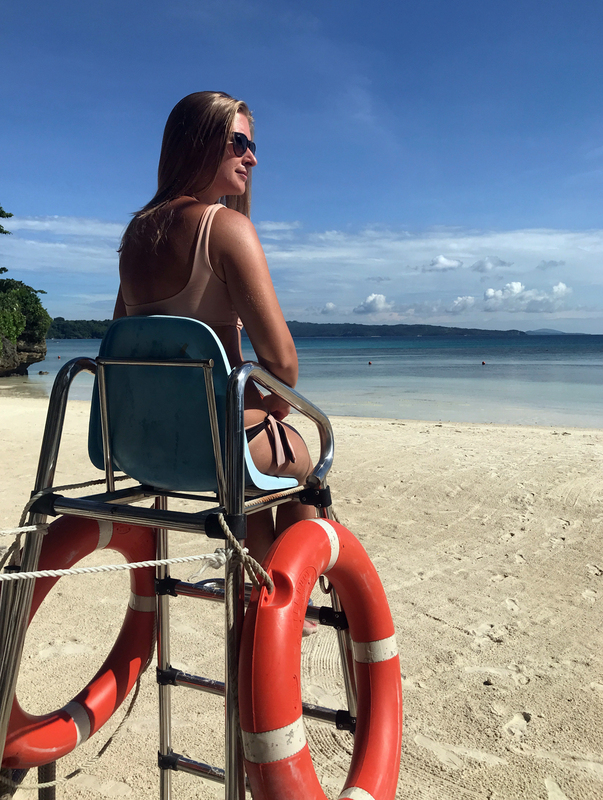 Among the offers of a variety of activities there are also options for horseback riding on Boracay (1,000 PHP ($20)), ATV (1,250 PHP ($25)) or segway (2,300 PHP ($46)). The route, where they ride on ATVs, runs along the Luho mountain, you can also get there on a tricycle, passing from Bulabog beach to Diniwid beach. 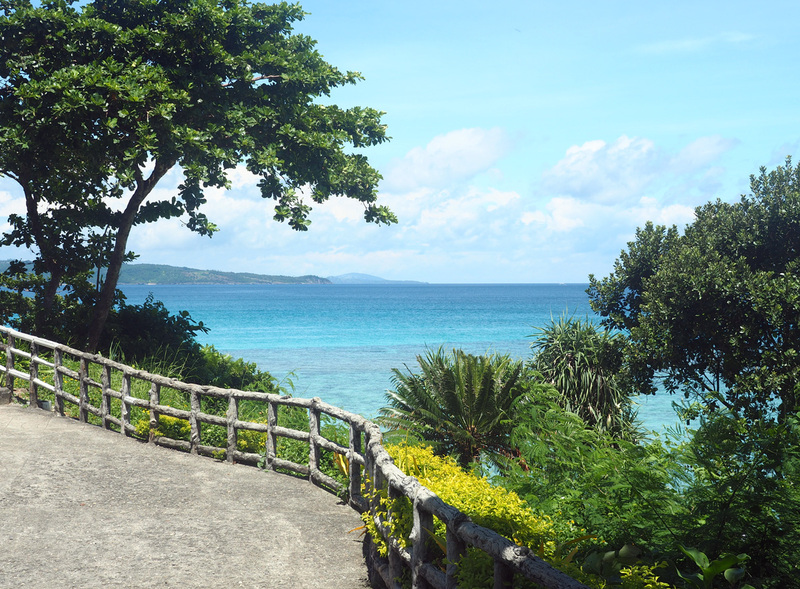 At the top of Luho mountain there is a view deck where you can stop and watch the attractions of Boracay from height. Fans of height can agree to a helicopter ride over Boracay island (from 5,200 PHP ($104) per person). 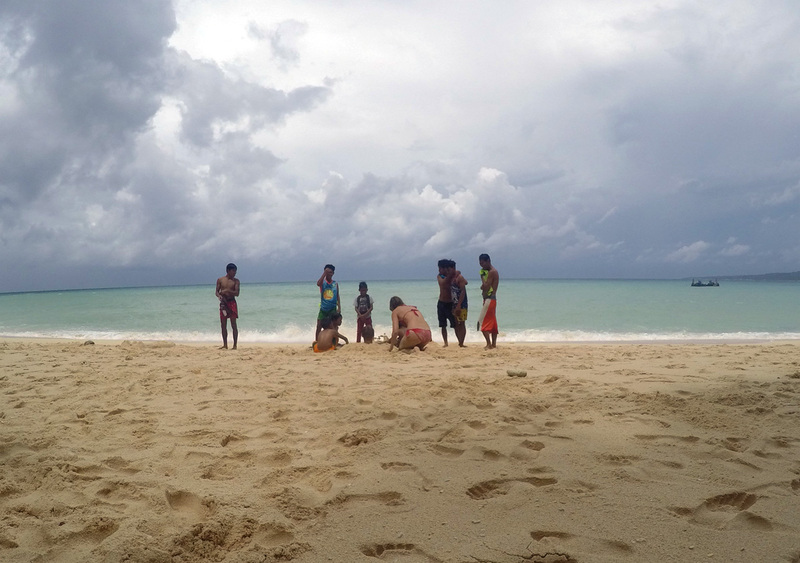 One of interesting facts about Boracay – the locals adore basketball. If you like it too, you can watch the games every evening not far from D’Mall shopping center. A popular basketball team is called Boracay Rum Waves. 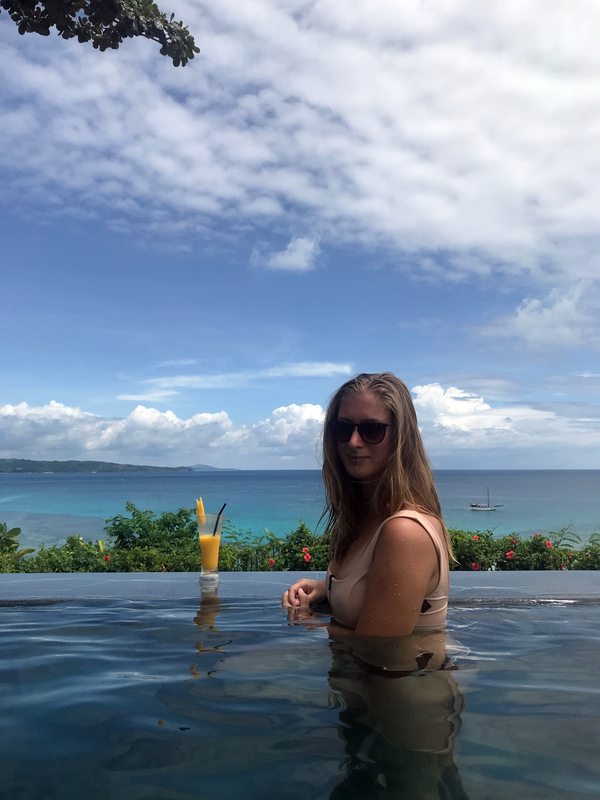 As follows from the above, you can always find something to do on Boracay, vacation on this island can be really interesting and full of emotions. 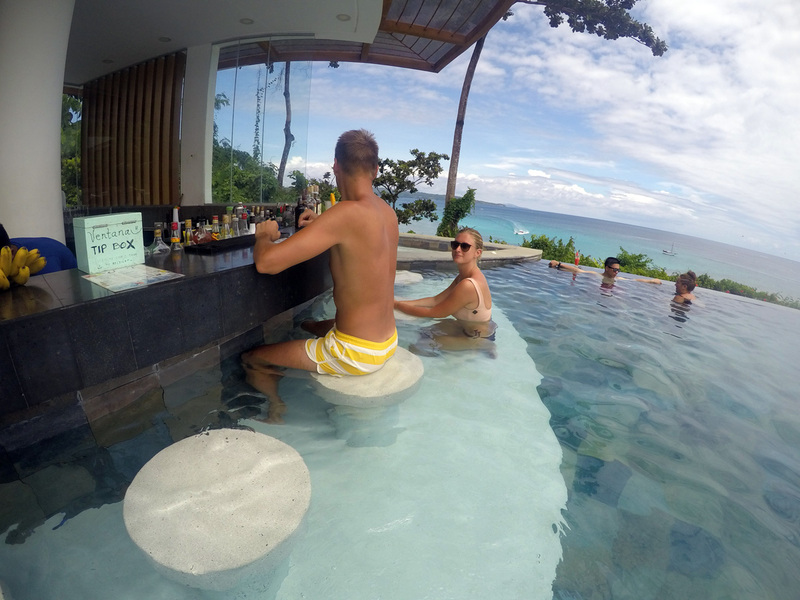 As for the prices for entertainment and activities on Boracay – they are slightly higher than on other islands in the Philippines, which is quite expected, because the island is the most popular resort in the Philippines. Boracay was the final island on our trip to the Philippines. 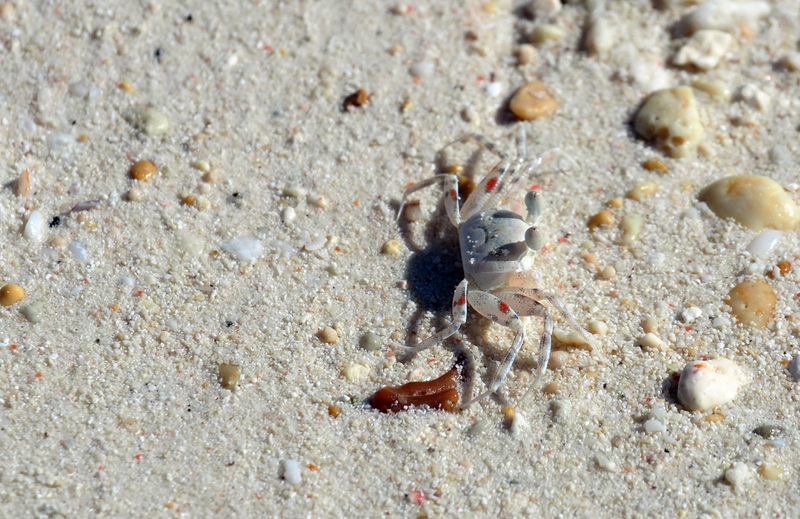 We dedicated our days on the island to beach vacation, because on the previous islands we didn’t sit still and had quite an active time, which of course was fascinating, but rather tedious. 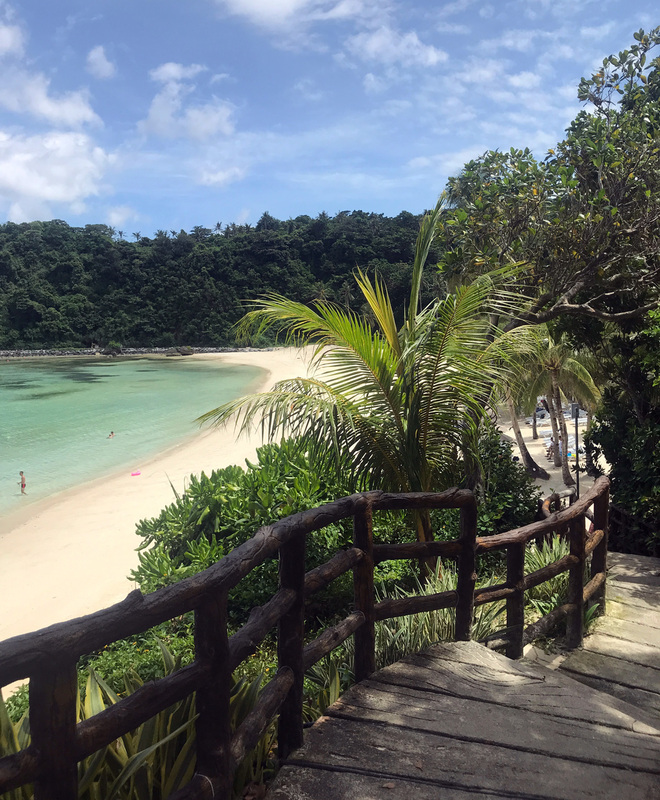 And if you go only to Boracay or another 1-2 islands in the Philippines, then, again, it is worth paying attention to entertainment and tours on Boracay. 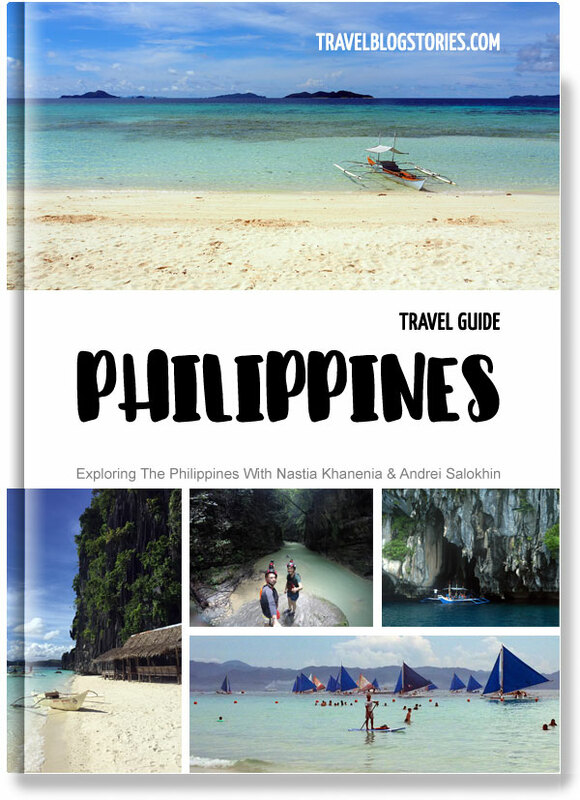 It will make your holidays in the Philippines more exciting, interesting and memorable. There is an opportunity to book activities on Boracay in advance and not to worry about it on vacation. You can have a look of the list of all Boracay activities, tours and excursions with prices and book them Here. 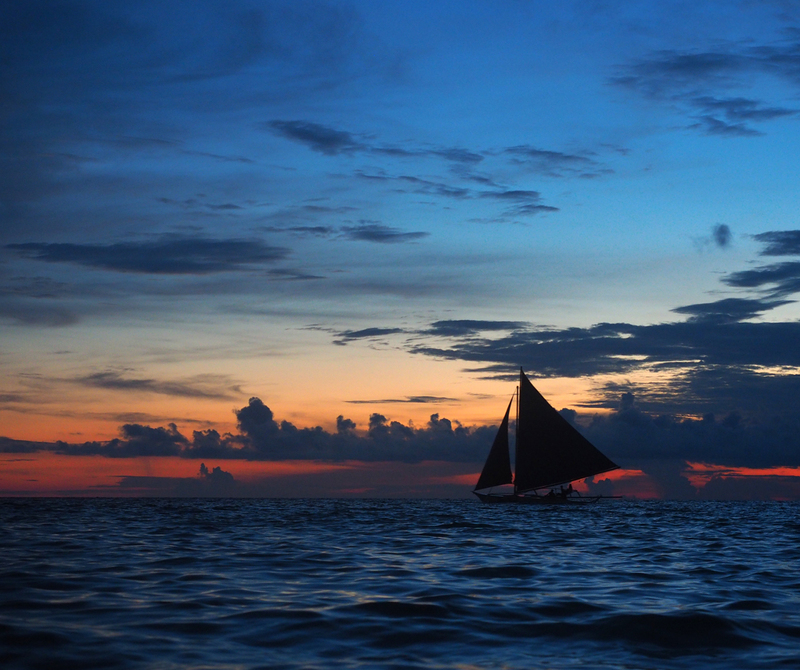 Transport on Boracay – How to Travel Around the Island? Speaking about transport on Boracay, Philippines it should be mentioned once again that this is a small island only about 7 km length with an area of 10 km2. There are few cars, mostly they belong to the hotels, and the main kind of transport is a tricycle. There are both classic tricycles and new ones – electric tricycles, which are quiet and are designed for up to 8 passengers. The ecological situation and environmental issues on Boracay island are so bad that the import of cars and motorbikes is subject to a large tax. It is not difficult to move on a tricycle due to the small size of the island, besides, you can catch a tricycle 24 hours a day. You can also rent a motorbike to travel around the island on your own. But motorbike rental is not popular and cheap on Boracay. 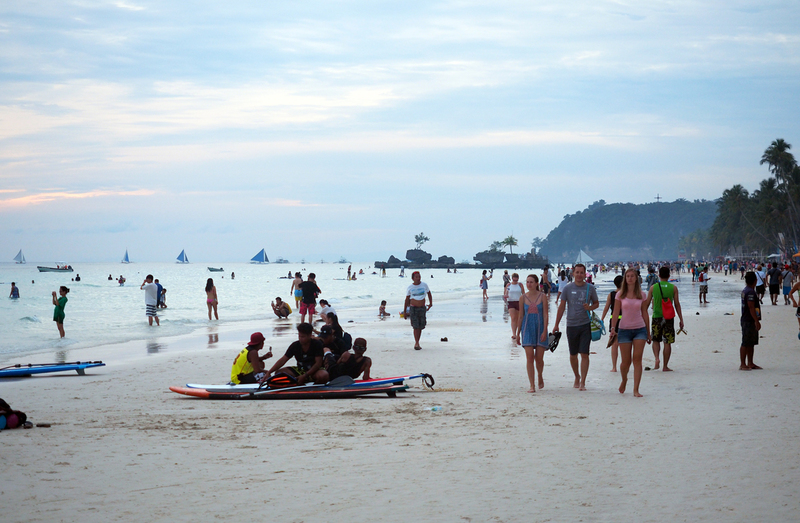 The main reason for it is that motorbikes are hard to import on Boracay. For one-day motorbike rental on Boracay you will have to pay 1500 — 2000 PHP ($30 — $40). Anyway, any point of the island can be reached by tricycle. Prices for a trip on a tricycle from one end of Boracay to another one are about 350 PHP ($7). 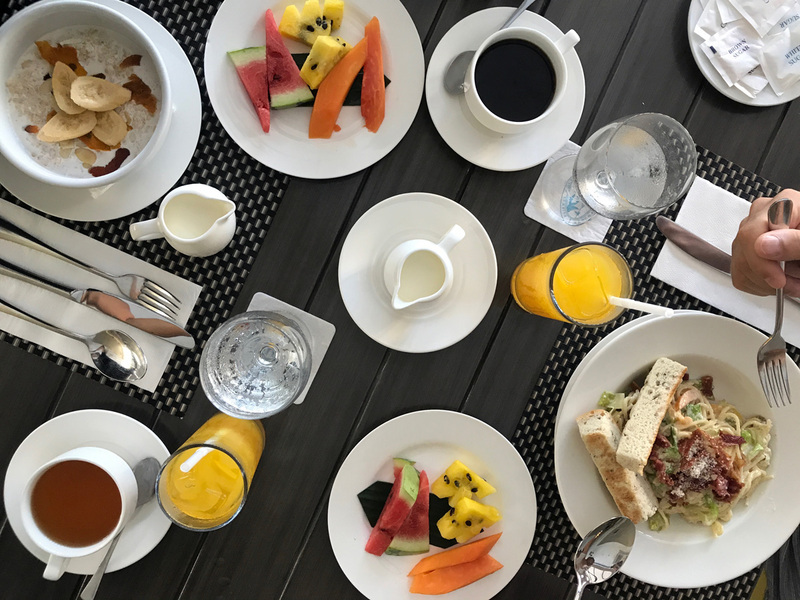 The question of where to go for a snack or a good lunch/dinner on Boracay does not cause problems, unlike other islands in the Philippines, on which we traveled before. Boracay is an over popular place to relax in the Philippines and the cuisine of different countries is represented in the restaurants on the island. 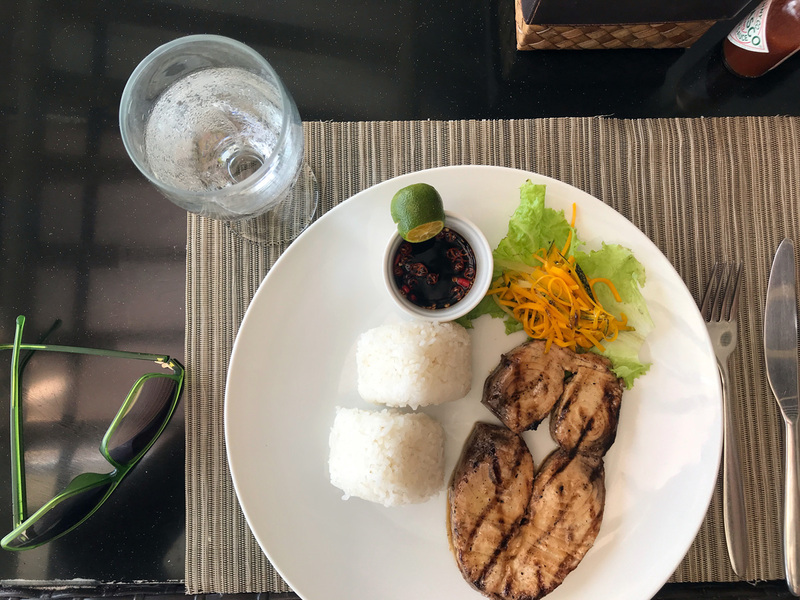 Prices in the cafes and restaurants of Boracay also vary – here you can either eat cheap or have a dinner in expensive restaurant. Most of the cafes and restaurants are concentrated in the area of 2 station, White Beach. The network has many articles with tips on where to eat on Boracay. Below I will describe exactly the places we visited and tell about our personal impressions. Nice cozy Spanish restaurant on Boracay, with good reviews from tourists on Tripadvisor. We visited this restaurant on Boracay for dinner. There is live music in the evenings. Among the visitors there are mostly europeans, holidaymakers in the Philippines. The menu offers a wide selection of wines, sangria, tapas, paella, seafood and meat dishes. 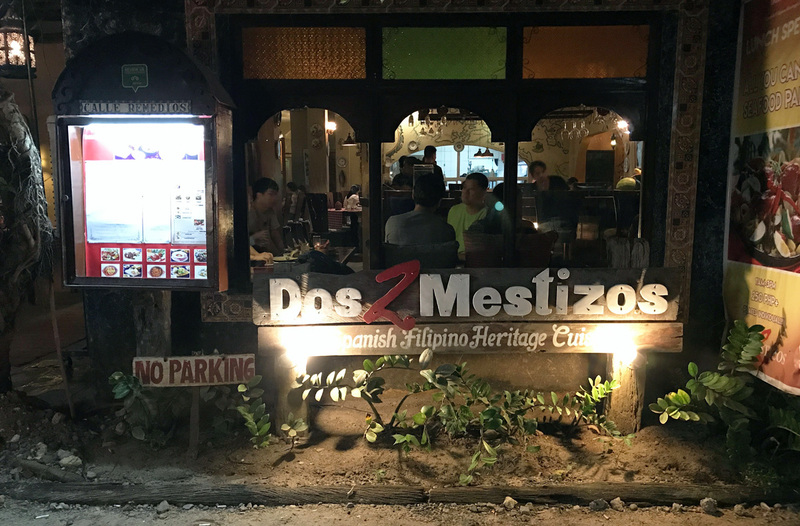 We were satisfied with both the restaurant and the food, and the evening at Dos Mestizos reminds us of pleasant time on Boracay. You can find detailed information about the restaurant on the Dos Mestizos restaurant’s website. One of the places where the Fairways and Bluewater Newcoast Boracay serves breakfast until 10am. In the rest of the time, if you do not want to leave the hotel, you can have a good snack here, at lunch there is a discount for some menu items. A restaurant with italian cuisine on the territory of Fairways and Bluewater Newcoast Boracay. Here we had dinner on a rainy evening, when due to the rain we did not want to go outside the hotel. Veranda is a good restaurant with a pleasant atmosphere and interior, but for food – nothing special. Veranda — is a place where you can have a good dinner without expecting anything extraordinary. A wonderful place on Boracay with good reviews, which is on Diniwid Beach. The restaurant offers tables right on the beach, where you can have a romantic dinner with a view of the bay, and in case of a strong wind it is better to move inside to the territory of Mama’s Fish House. The restaurant is famous for its fish dishes, we especially liked steaks from marlin, shrimps and salad with tuna and mango. The first place on Boracay, Philippines, where (according to the Tripadvisor) we went from the port immediately upon arrival to the island. 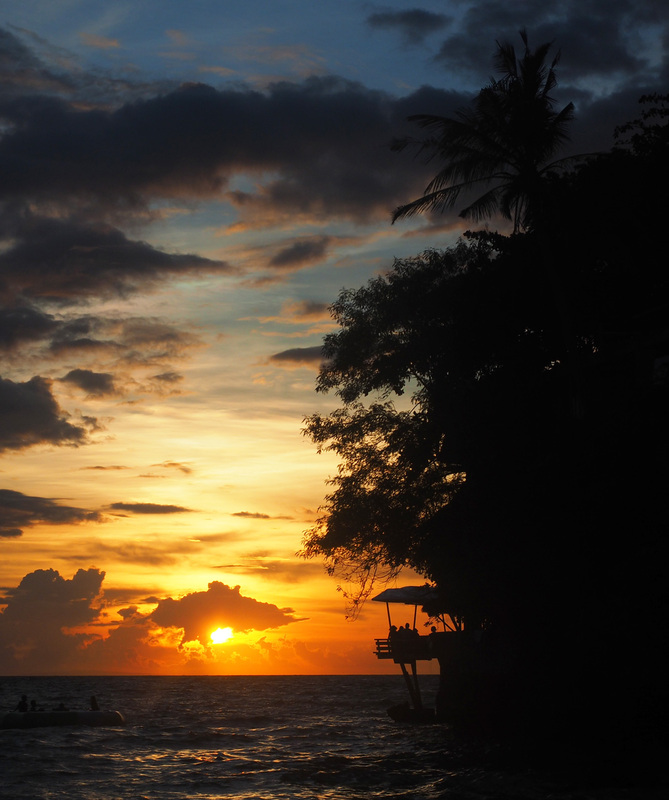 Epic Boracay is located on the 2 station of White Beach, among a great number of restaurants near D’Mall shopping center, so at sunset time, this is an ideal place to dine with a view of the breathtaking Philippine sunset. Of course, if you are not confused by the large number of people around. Regarding food – according to reviews this is a very popular Boracay restaurant, but we were not impressed by the food. 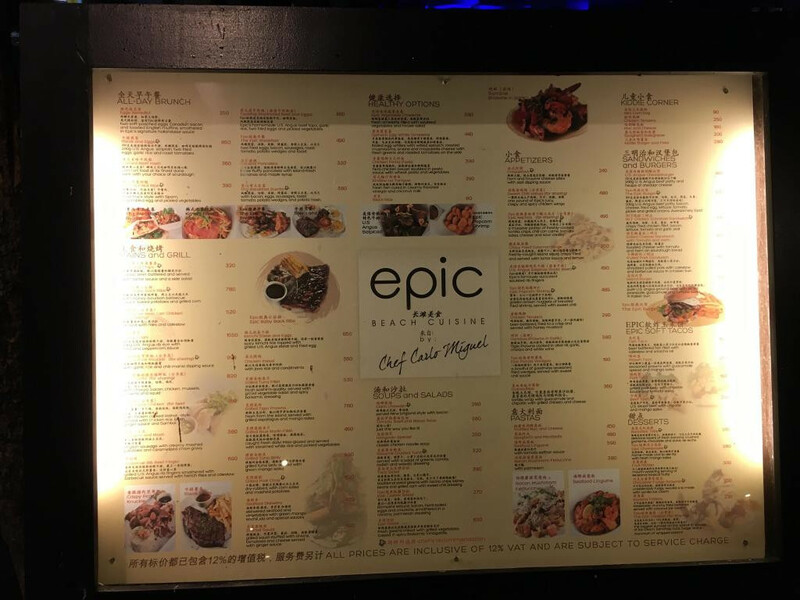 We had dinner there and we did not have a wish to return to Epic once again. Epic — a very popular place, because in the late evening it turns into one of the nightlife places of Boracay. Cafe at the entrance to Puka Shell Beach. Puka Grande is perfect if you spend quite a lot of time on Puka beach, this cafe is the best place to have lunch there. Fish and fresh shrimps are well prepared here. Puka Grande is popular among the Japanese tourists. We got to Willy’s Rock Bar & Restaurant accidently. During the time spent on White Beach, we decided to have lunch and went to the first place we saw on the 1 station of White Beach. After we had a look at the menu, we chose a steak from marlin and a cheese soup. Willy’s Rock Bar & Restaurant is a great place to have a lunch, and then spend time on the beach. Even the service at Willy’s Rock Bar & Restaurant seemed to us to be fast. 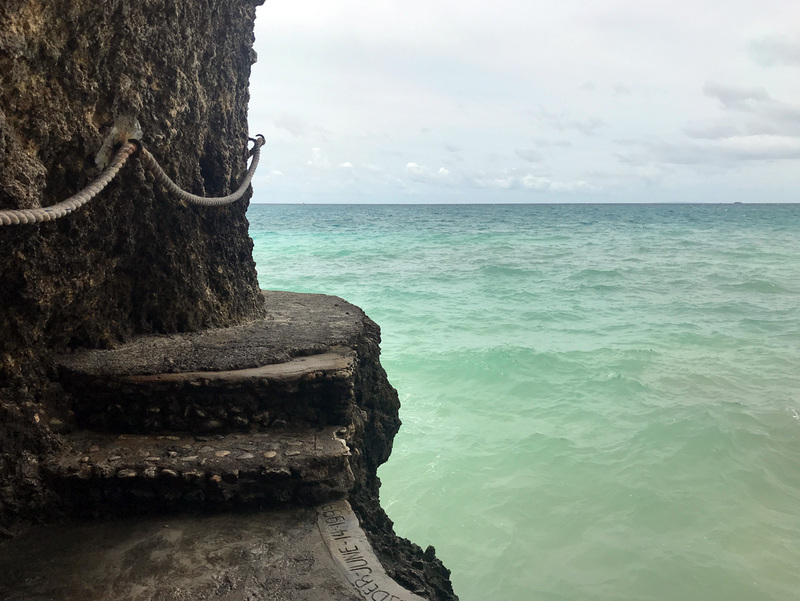 Besides the delicious food, the advantage of the restaurant is its location — right opposite the Willy’s Rock is at 1 Station of White Beach — one of the attractions of Boracay, so a magnificent panorama opens in front of you while you are sitting at a table in Willy’s Rock Bar & Restaurant. 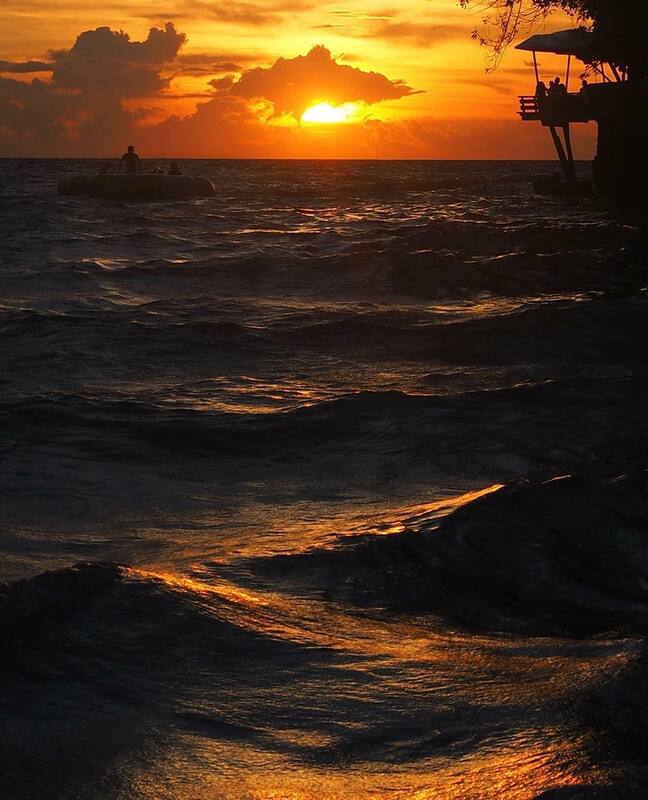 Probably a good idea is to have dinner at Willy’s Rock Bar & Restaurant at sunset. In the evening, while walking on White Beach, there are many bars, where you can spend time with a cocktail and a light snack. One evening we decided to walk along White Beach, and went to the cocktails at the bars that seemed attractive to us. Unfortunately, I don’t remember the names of all the bars, but one of them was Aplaya the Beach Bar & Italian Restaurant. We liked this place, which by the way is quite popular, there were quite a lot of visitors, although it was only the beginning of the evening. Boracay is really a paradise island in the Philippines. When I say paradise, I mean its nature. At the same time, many people remain dissatisfied with the fact that after reading about the beauty of sandy beaches, emerald water and palm trees descending to fine clean sand, then they come to the island and see not only such a beautiful picture. I mean the life of local people. In the neighborhood with the hotels there are located the huts of Filipinos who are very poor. In addition to it, you can always see rubbish and thin sick animals on the streets of Boracay. But after all, Boracay is Asia, most people are really poor there. Most of the adult population abuses alcohol, and not only adults. And although all this is not very pleasant – in other islands we visited, the situation is much worse. And if we compare – then on Boracay due to a great number of tourists, the situation for locas is even better. 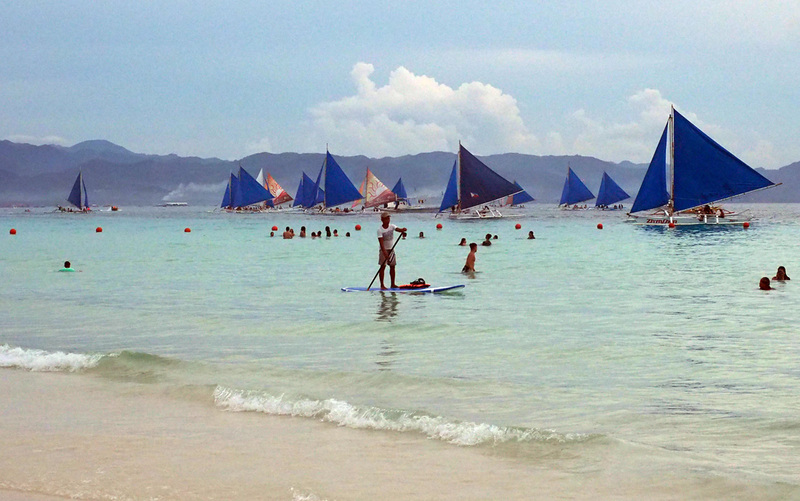 Many come to Boracay to work, because there is no work on their islands. But from a huge number of tourists there are obvious disadvantages – unbelievable amounts of garbage. If you get on Luho mountain on the road from Bulabog to Diniwid – you will pass by a huge garbage dump, already exceeding its high fencing. Given the high temperature of the air, one can imagine the aromas above this part of the island and it is better not to imagine the negative consequences from this size of the dump on a very small island. 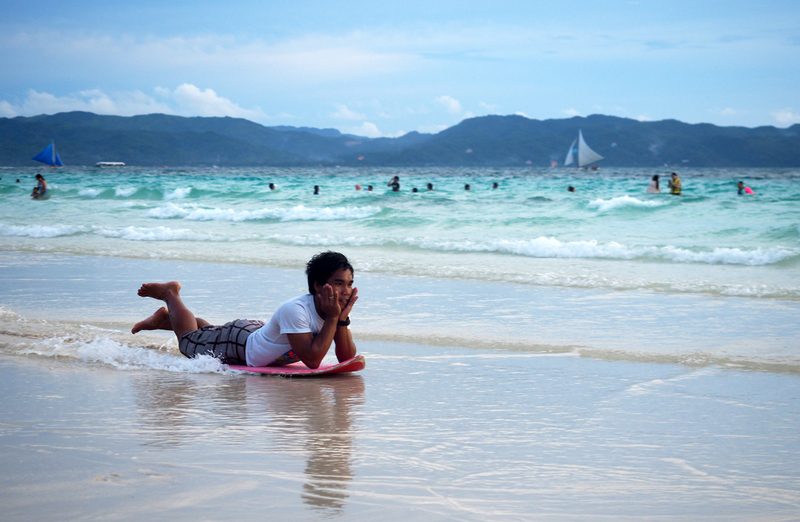 And if you abstract from the inevitable in Asia things, Boracay, Philippines is really good for spending a vacation. 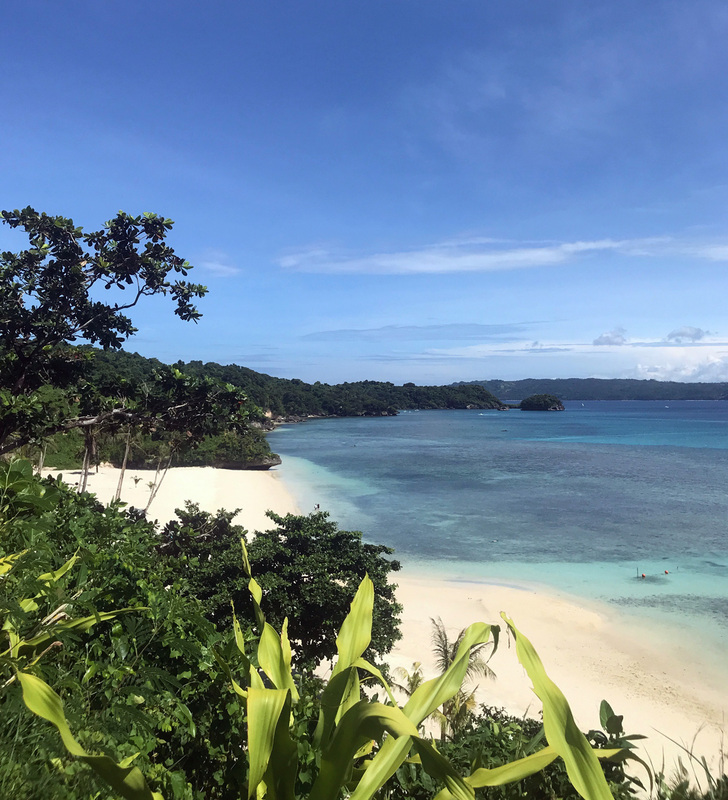 In addition to its incredible nature, the island is really developed for tourists (if to compare Boracay for example with Busuanga/Coron or even El Nido), and vacation on Boracay can be interesting and rich in impressions. 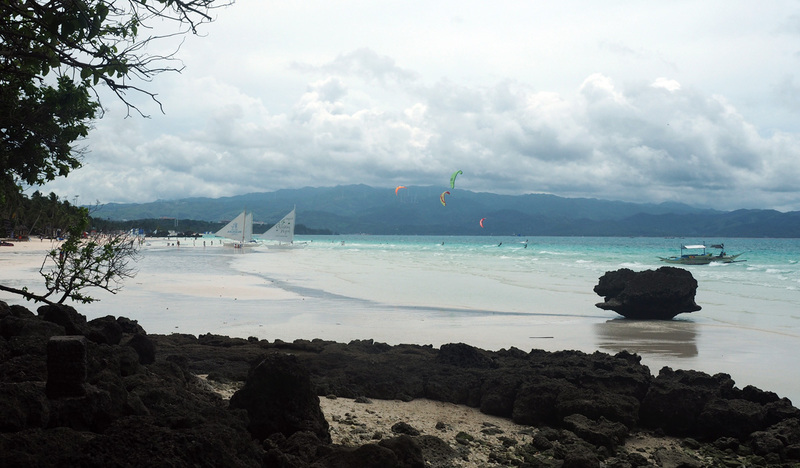 Below I will give the main disadvantages and advantages of spending vacation on Boracay.